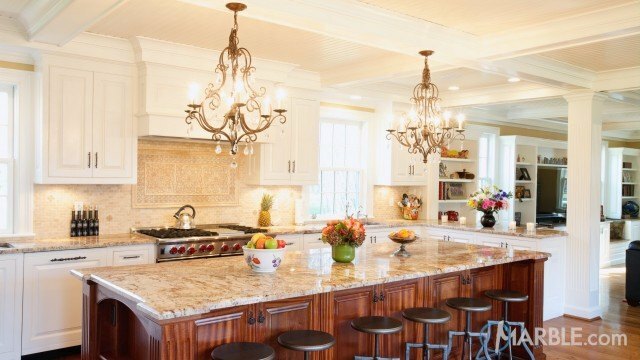 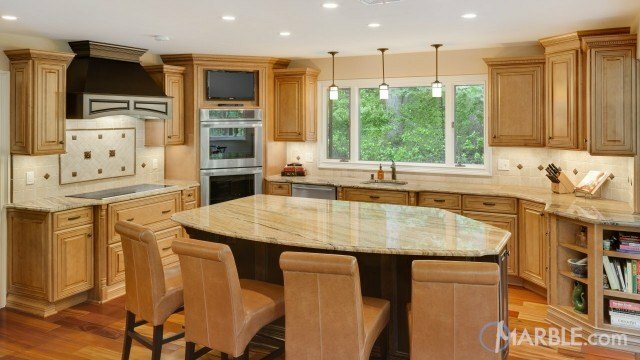 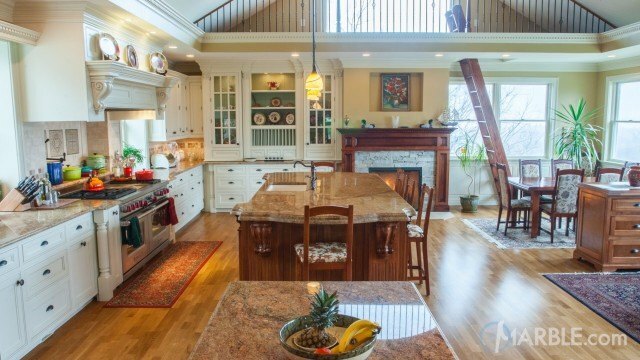 Golden Silver granite counter tops with a Straight Edge are perfectly complemented by sunny yellow walls, elegant dark wood cabinets and chandeliers above the bar. 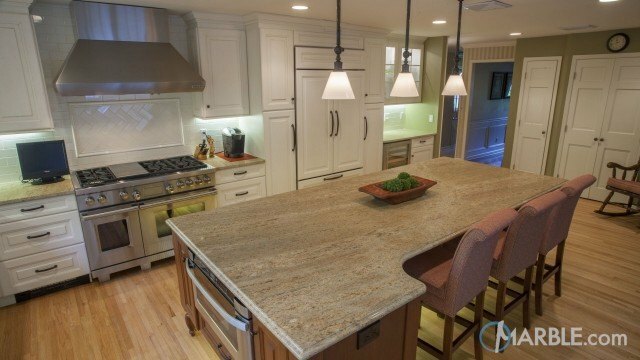 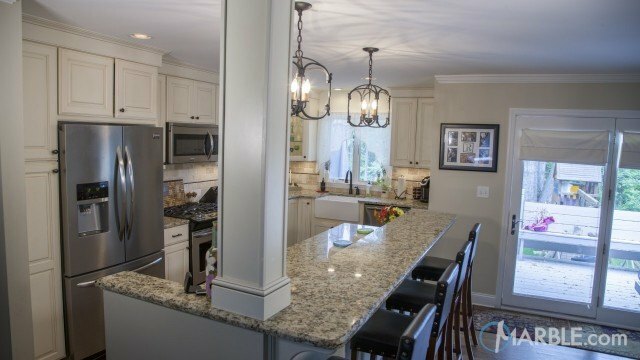 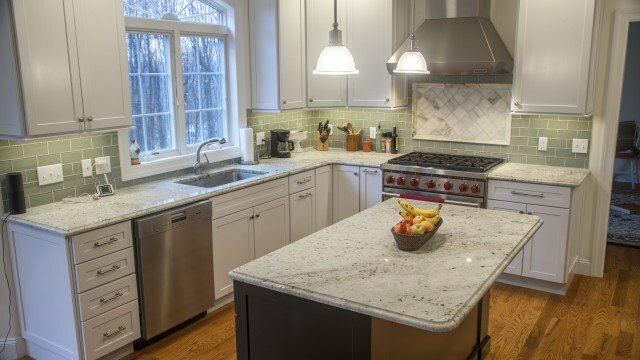 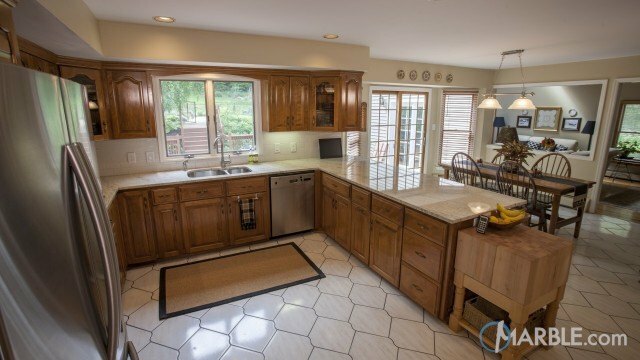 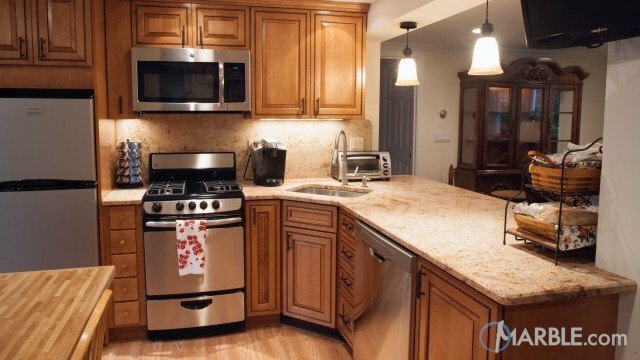 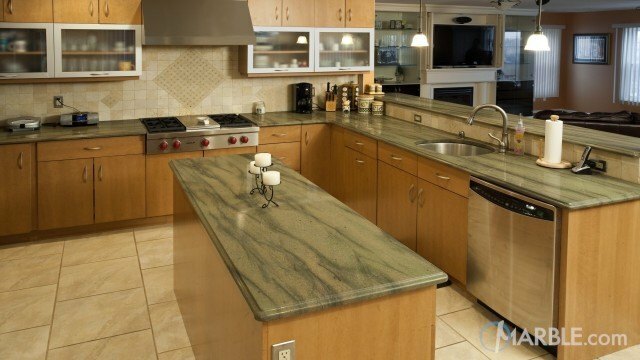 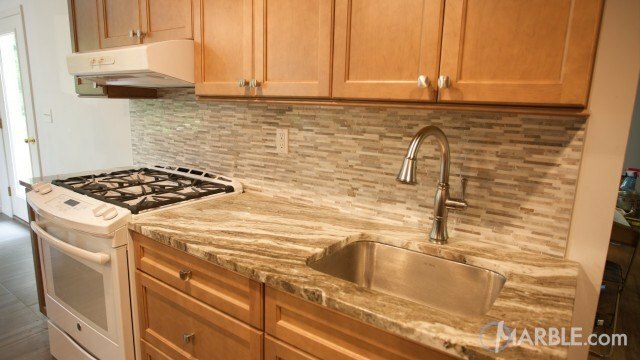 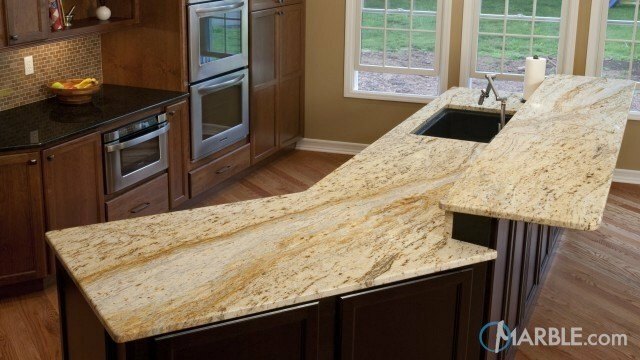 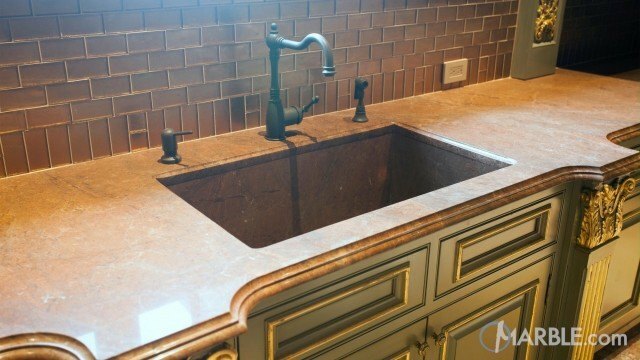 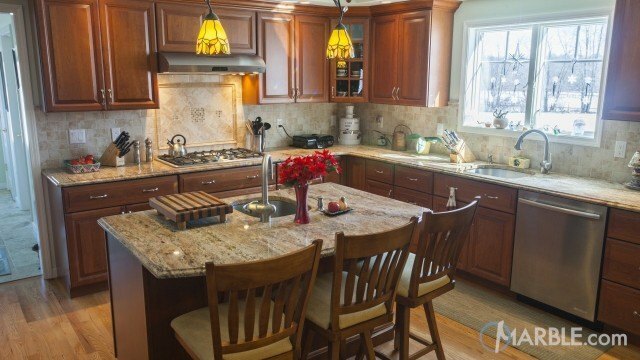 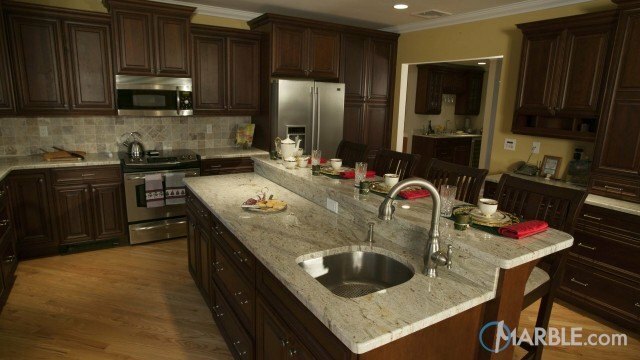 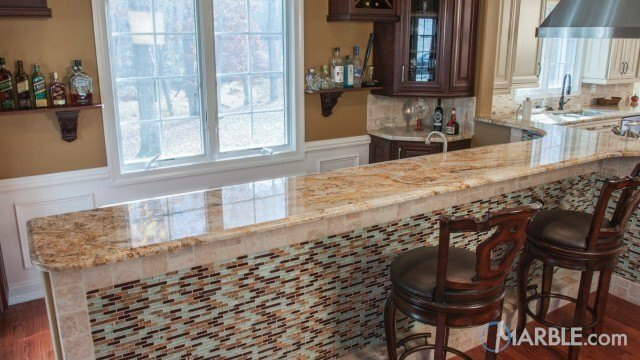 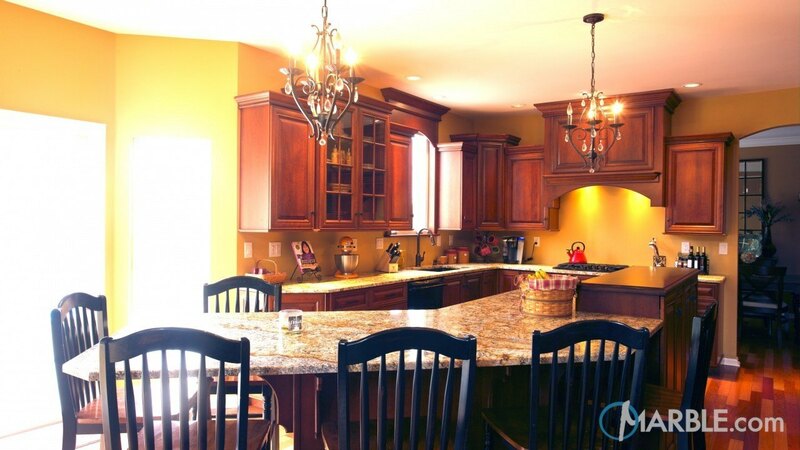 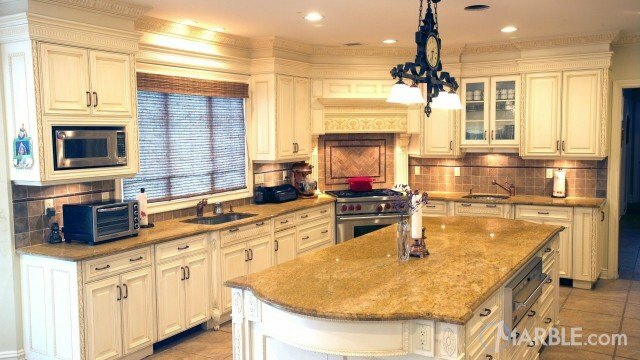 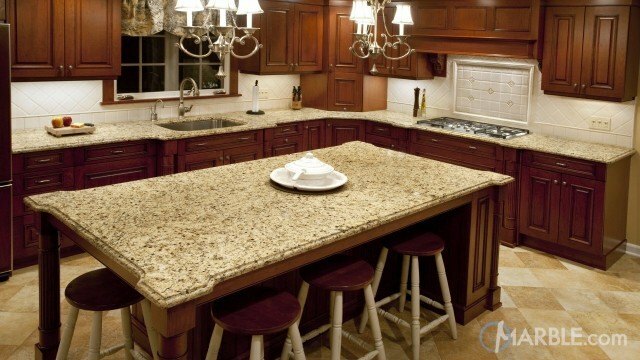 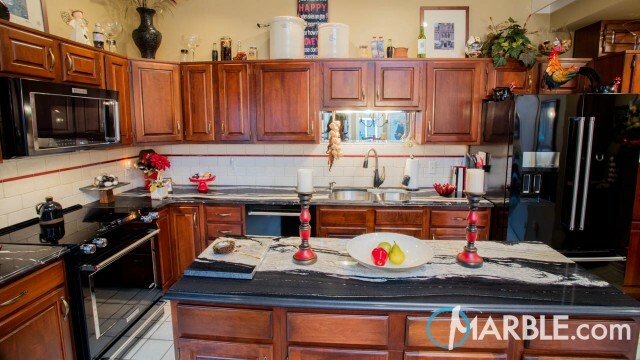 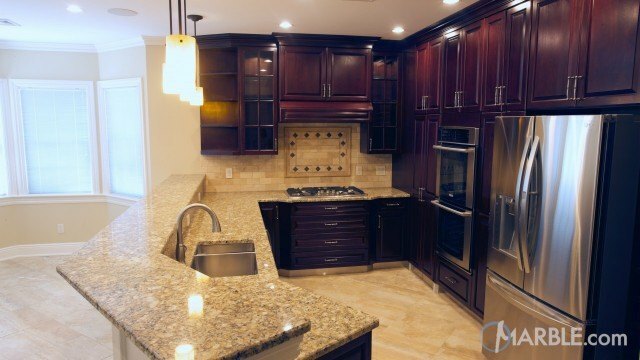 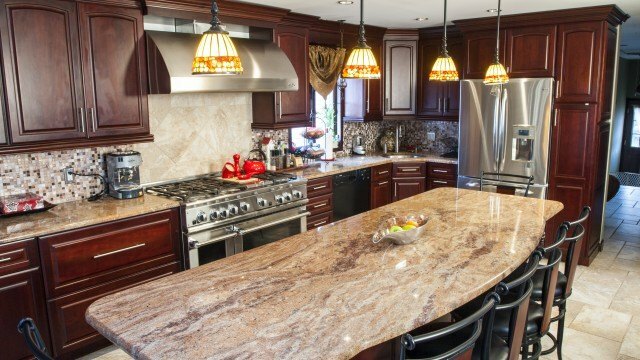 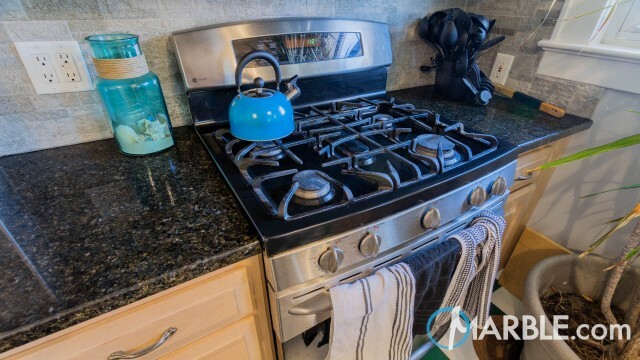 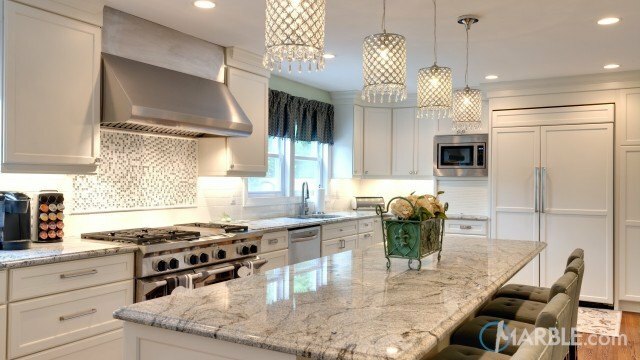 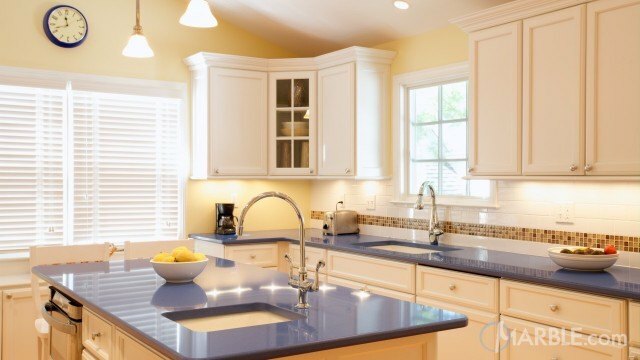 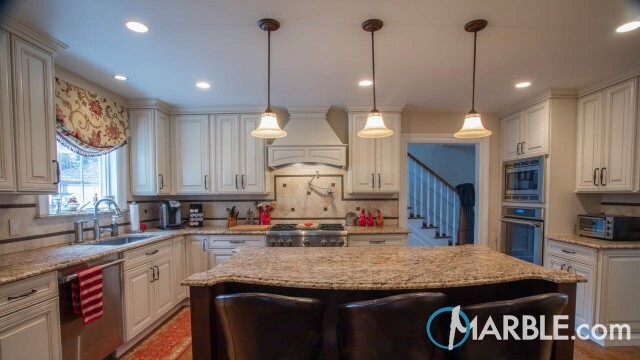 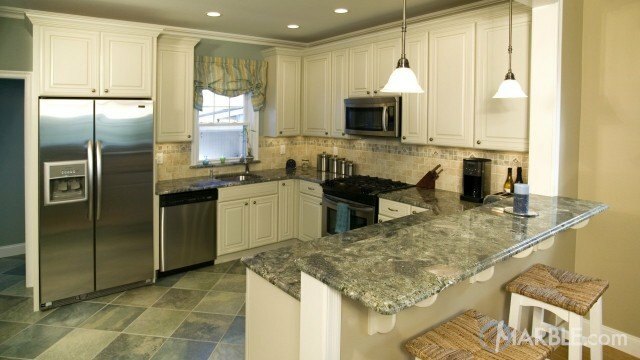 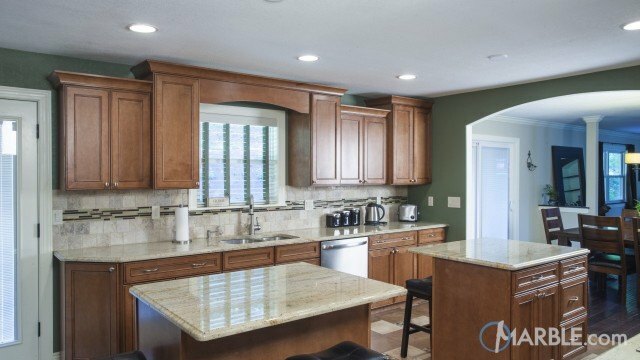 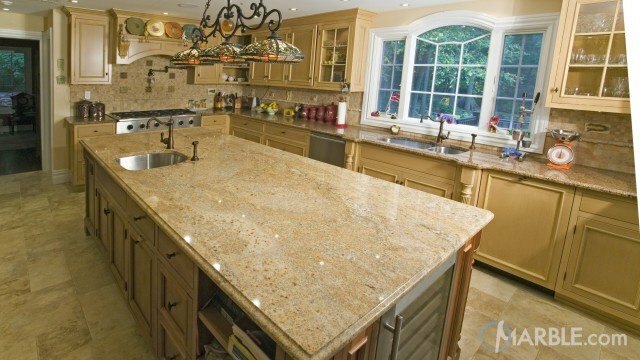 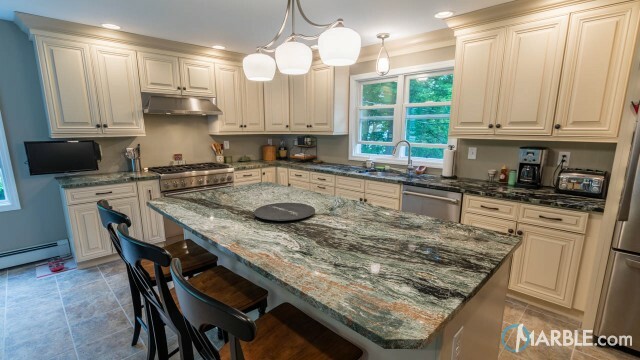 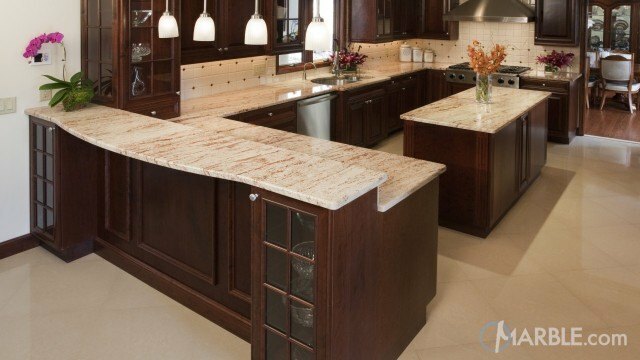 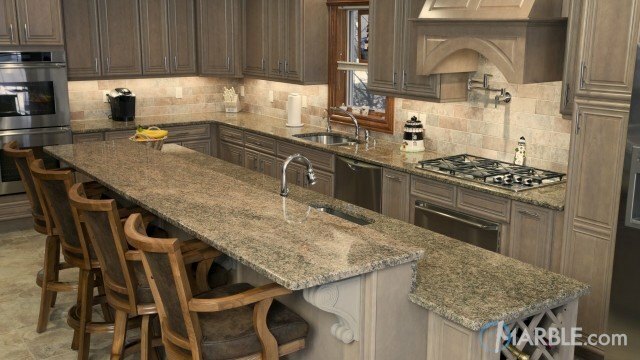 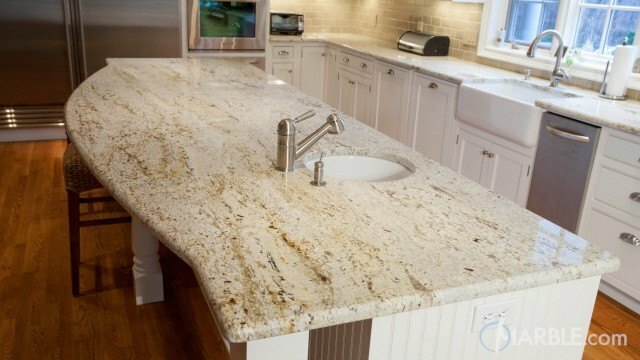 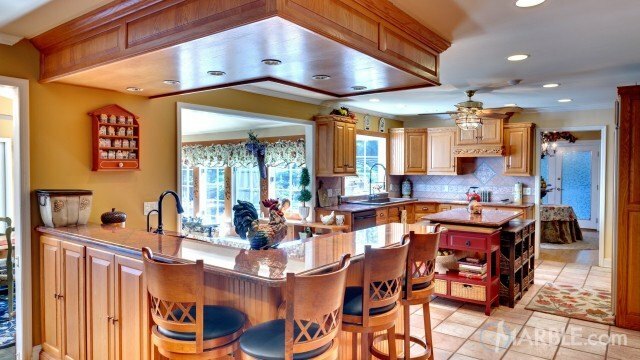 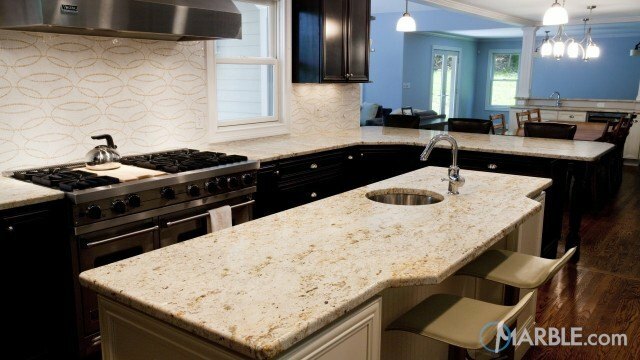 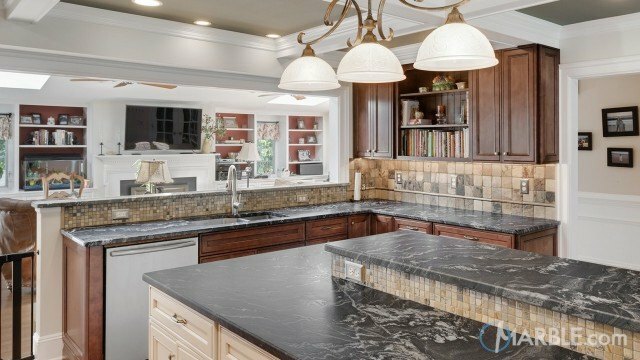 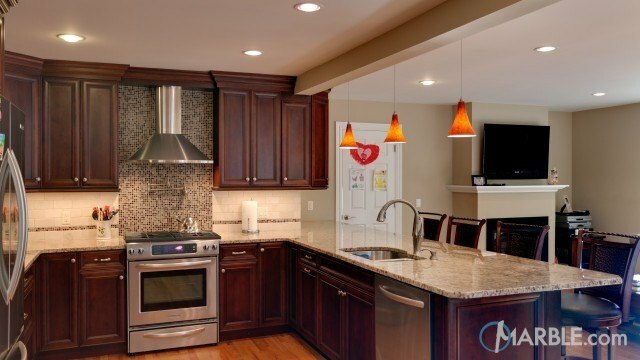 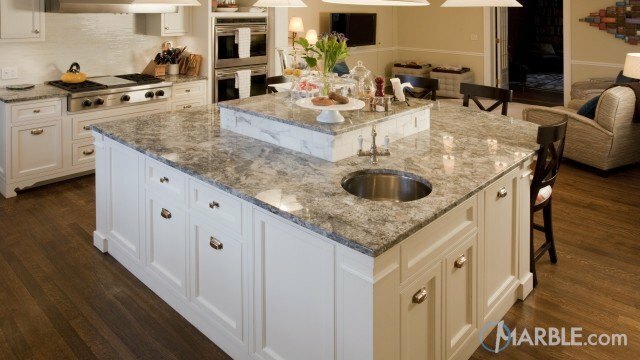 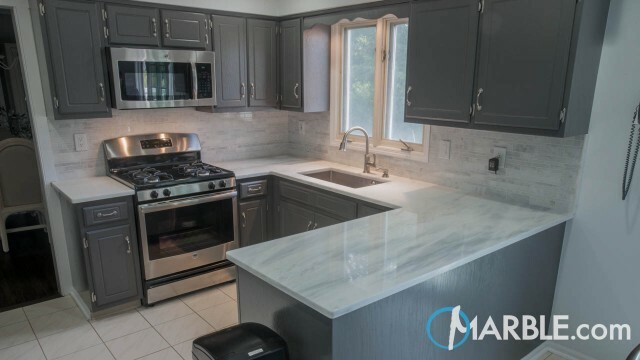 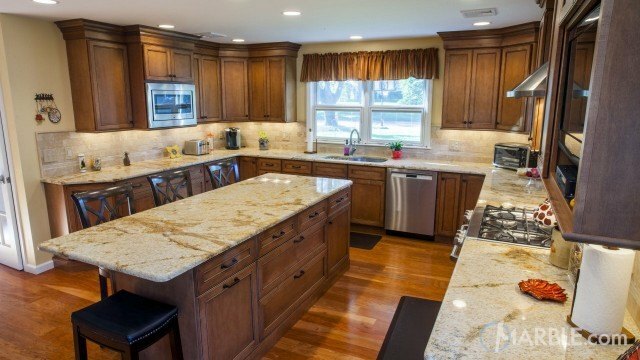 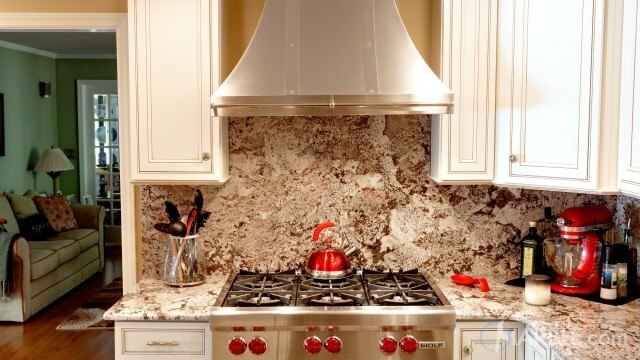 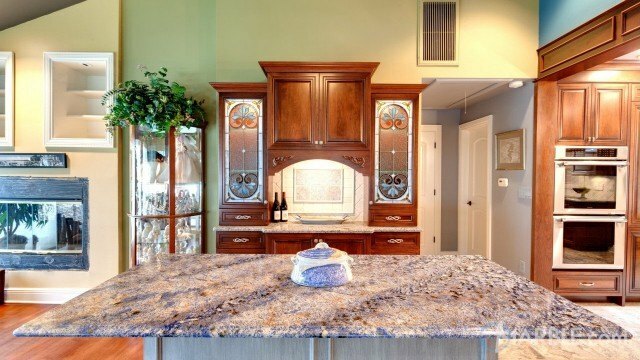 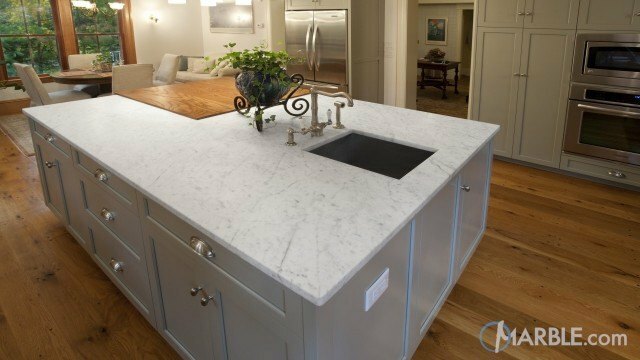 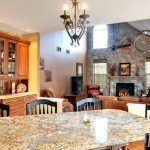 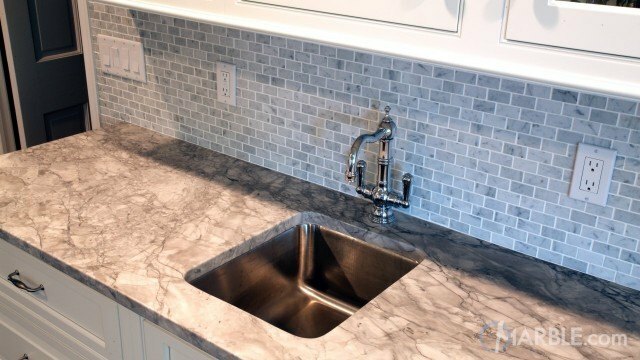 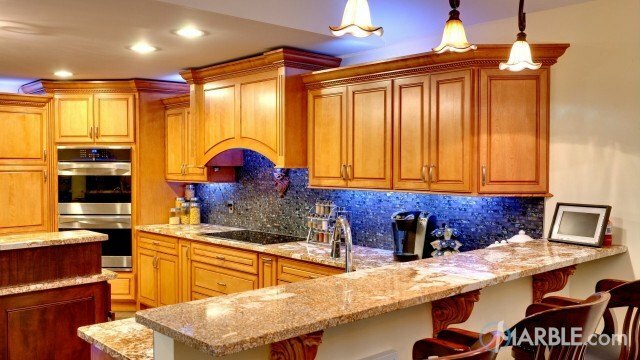 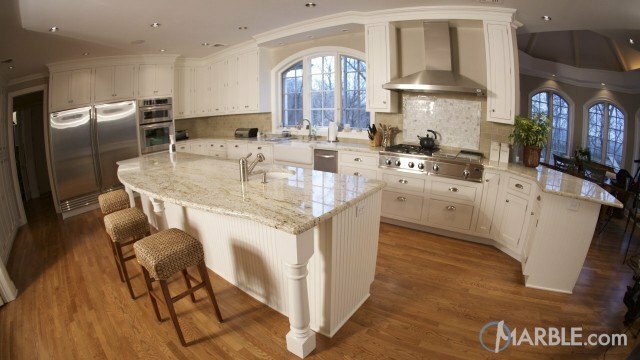 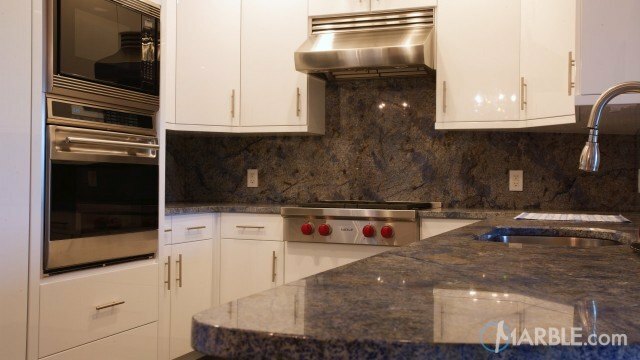 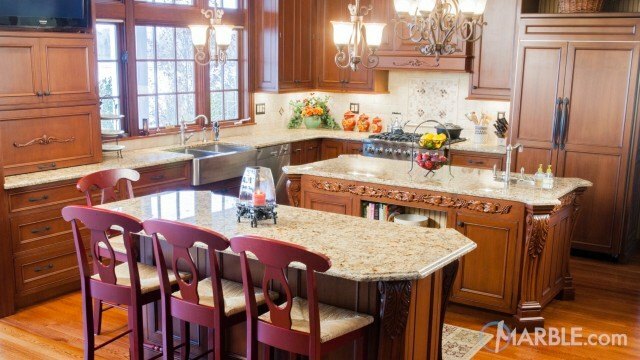 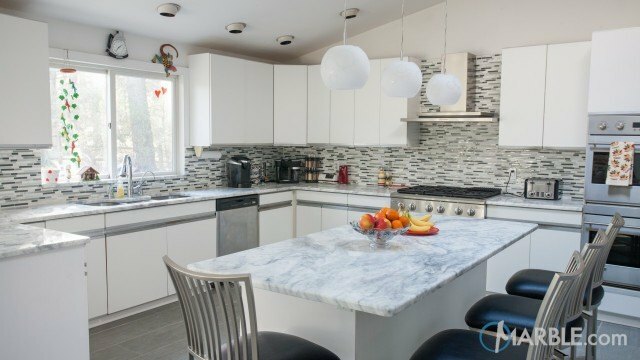 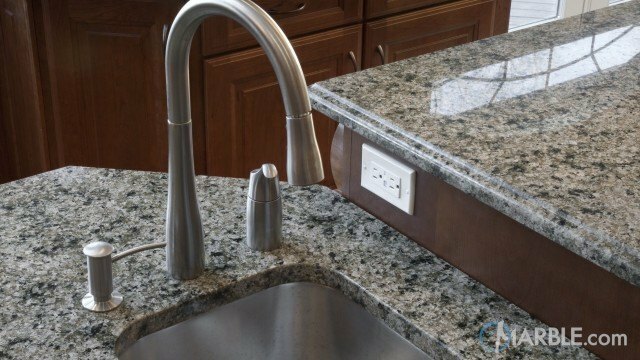 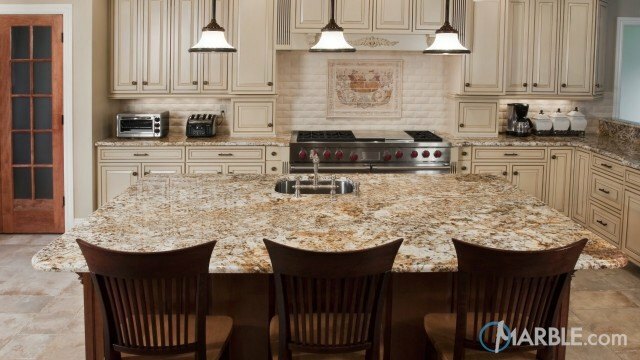 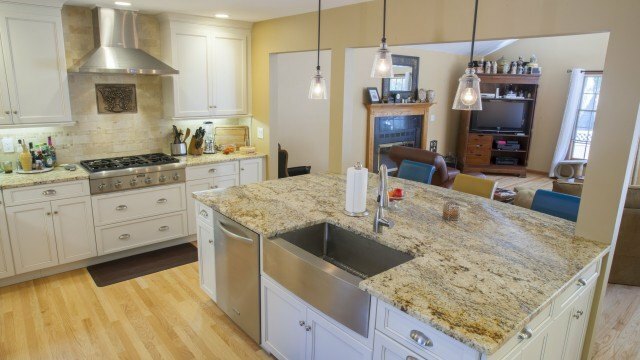 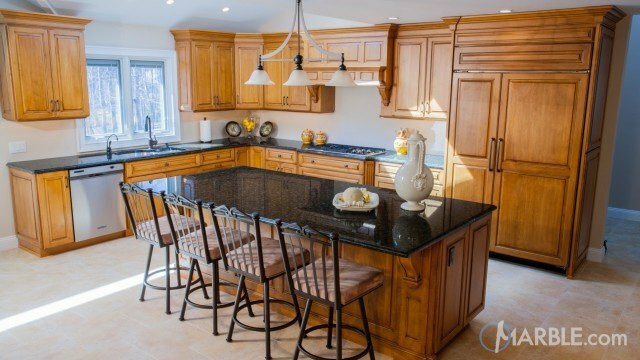 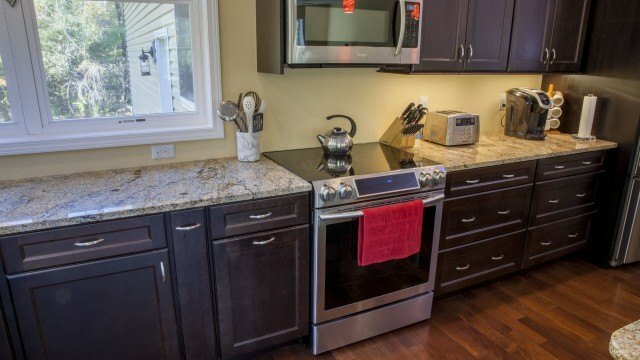 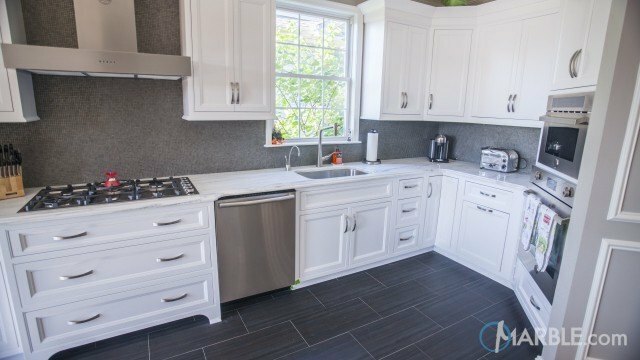 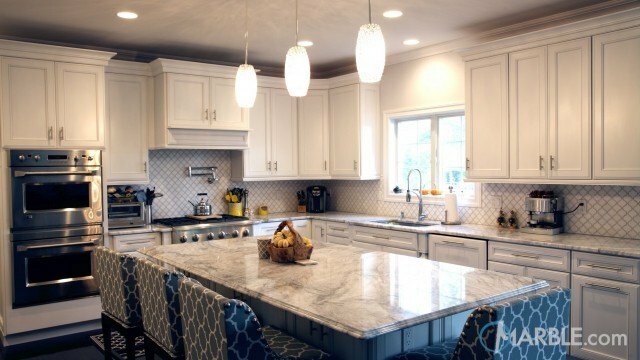 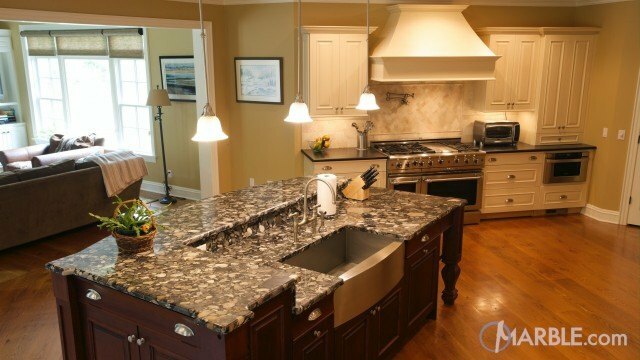 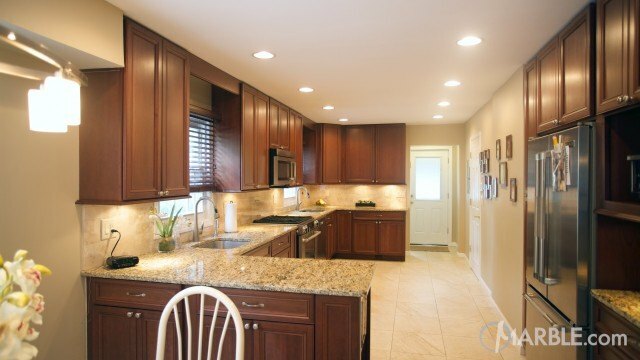 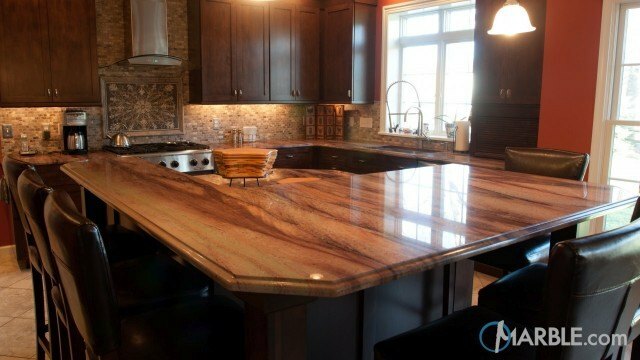 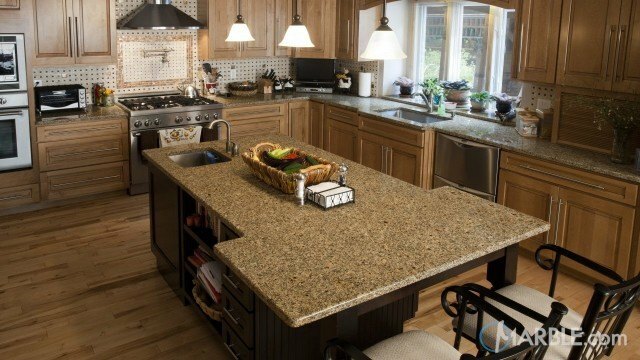 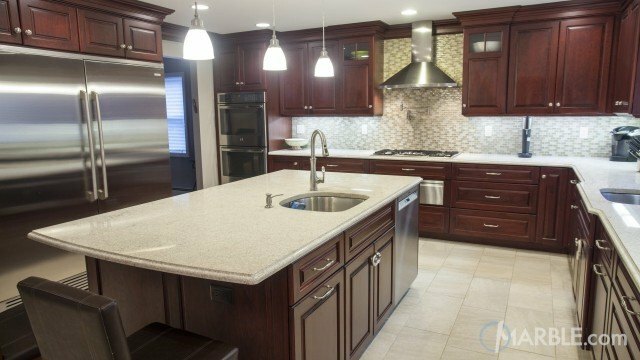 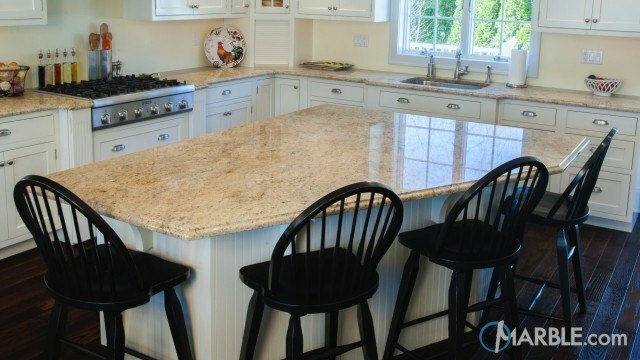 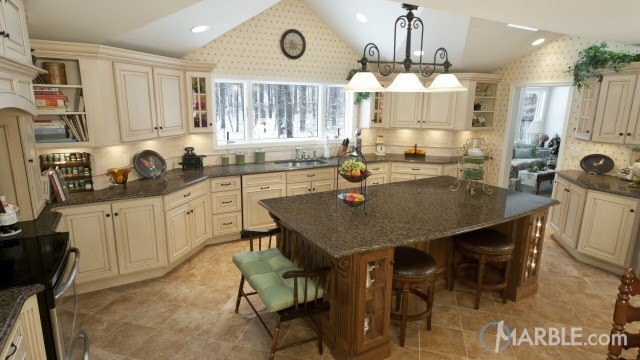 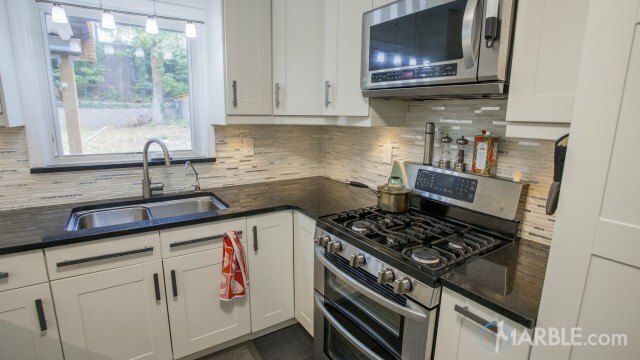 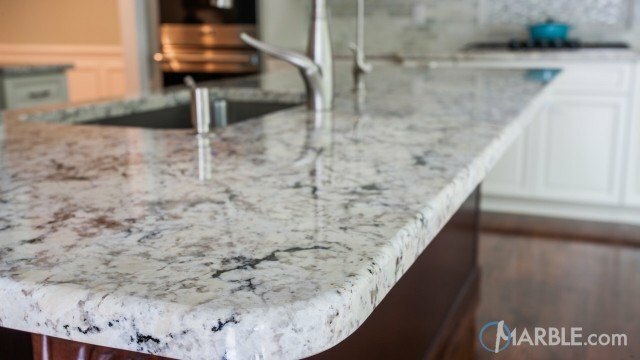 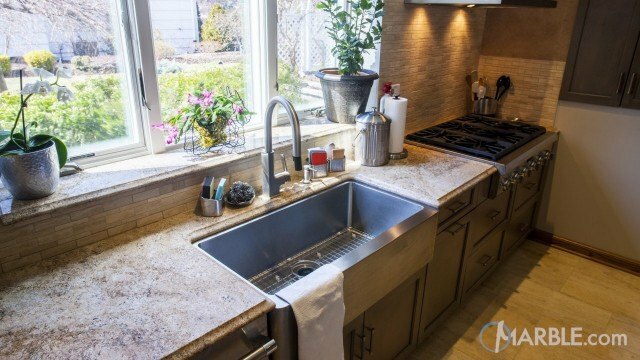 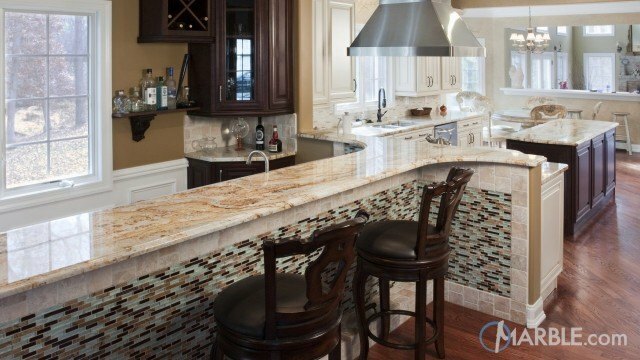 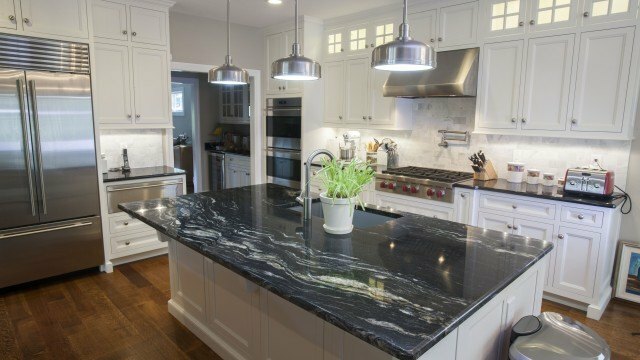 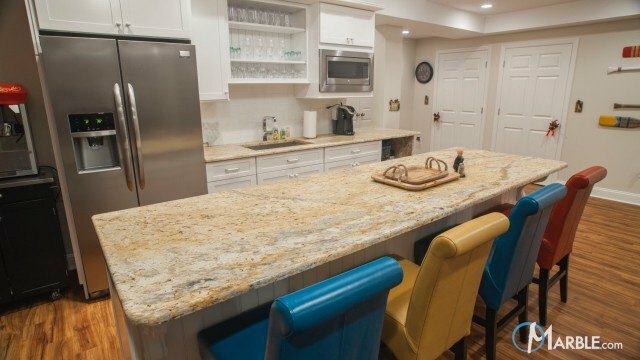 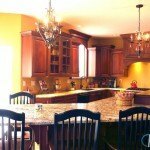 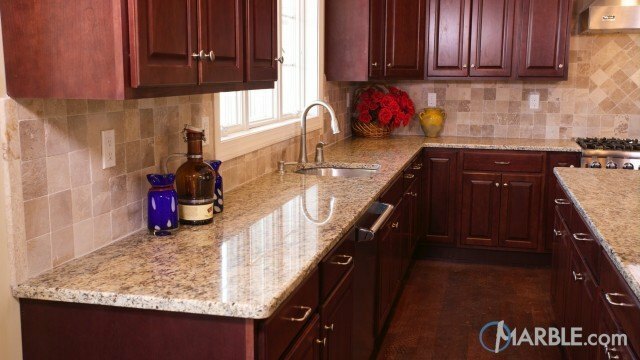 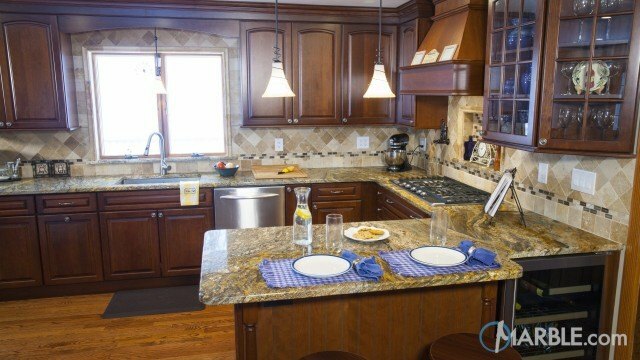 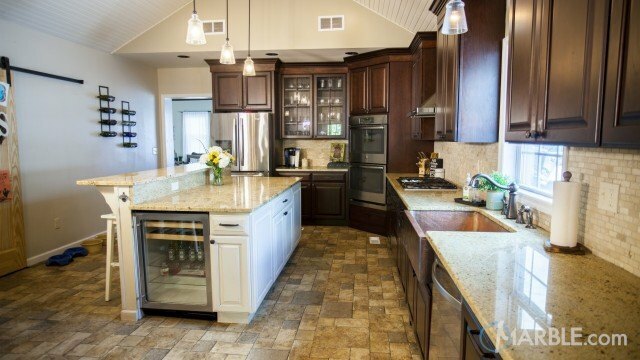 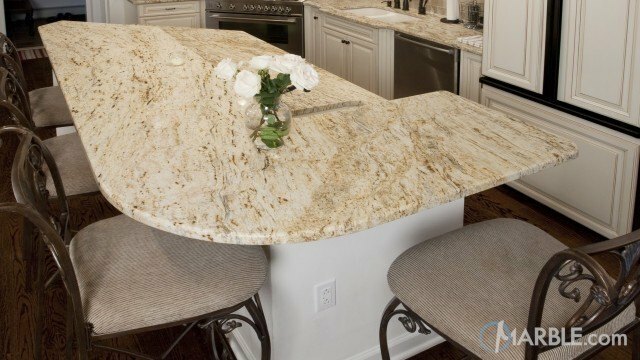 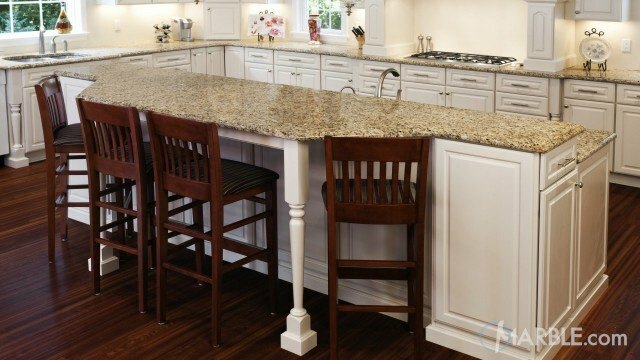 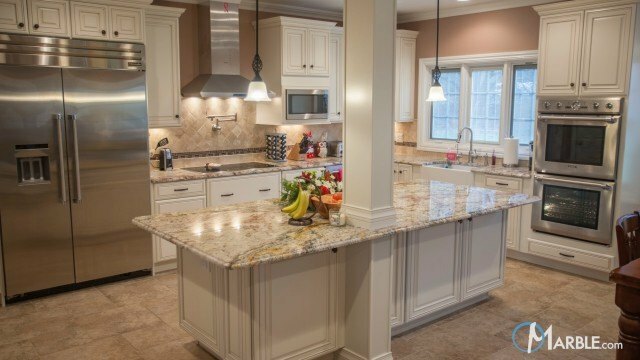 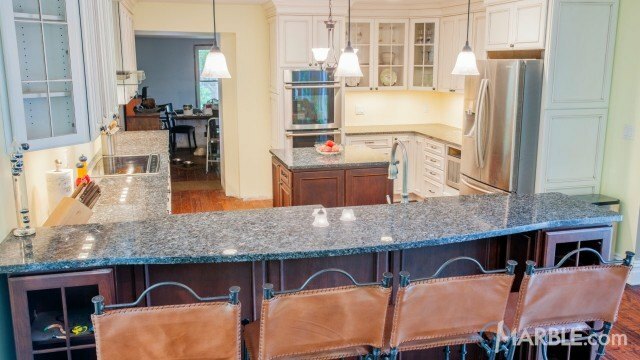 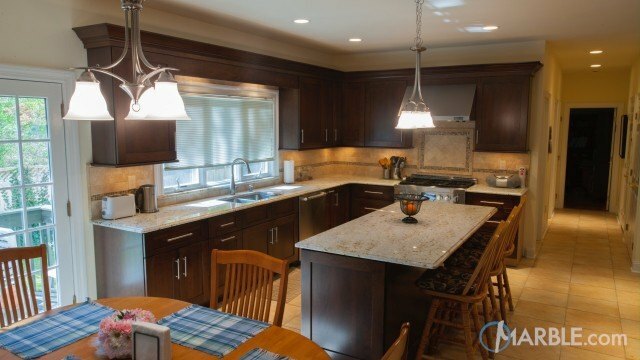 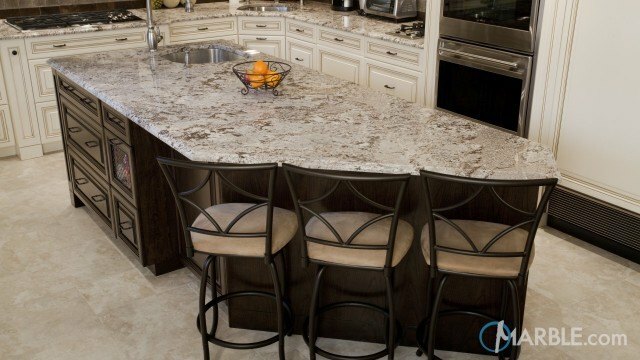 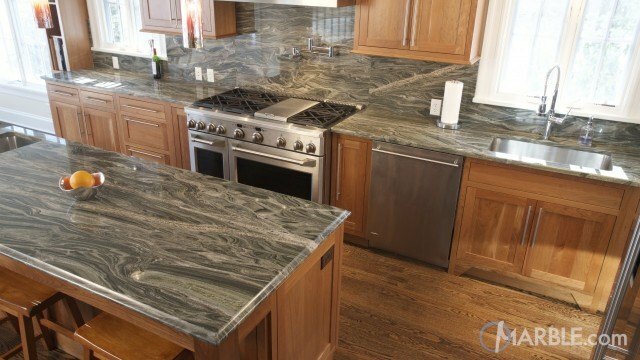 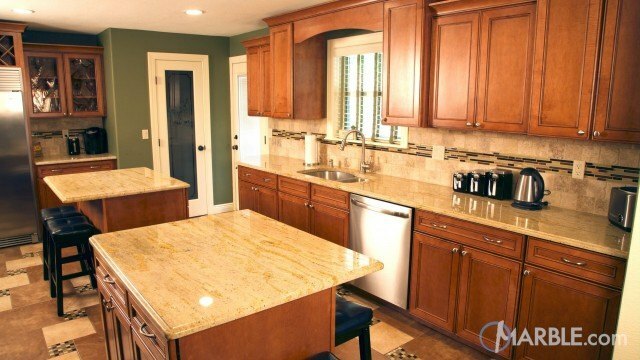 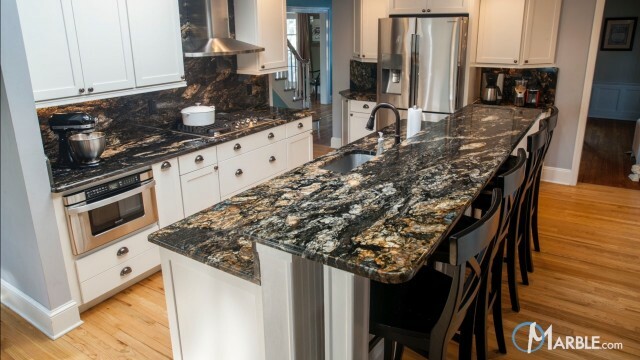 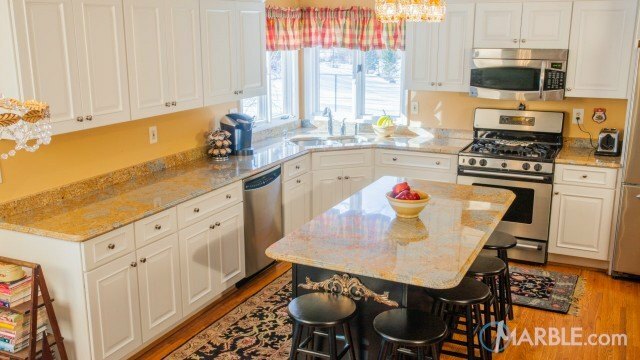 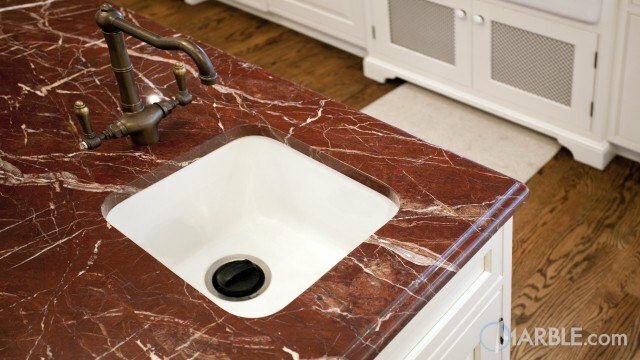 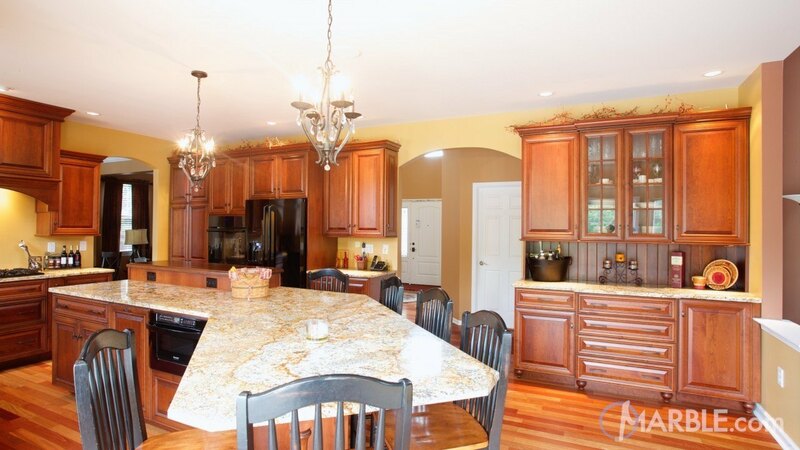 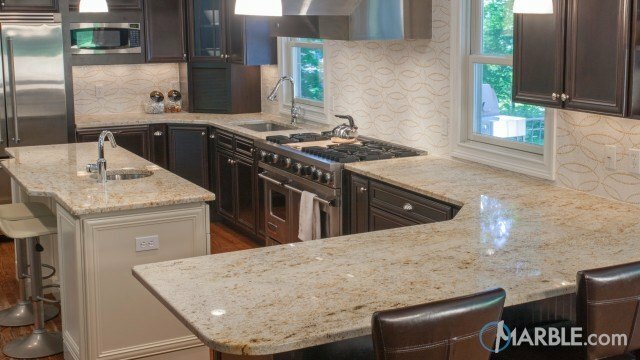 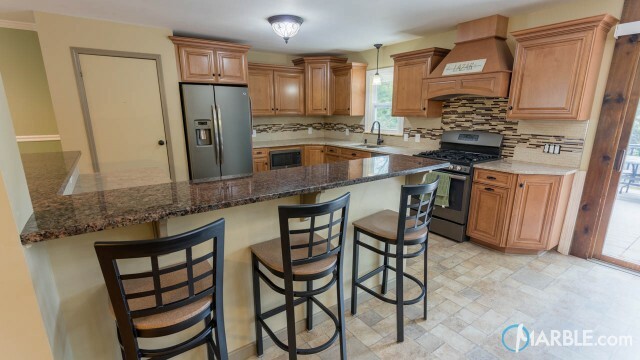 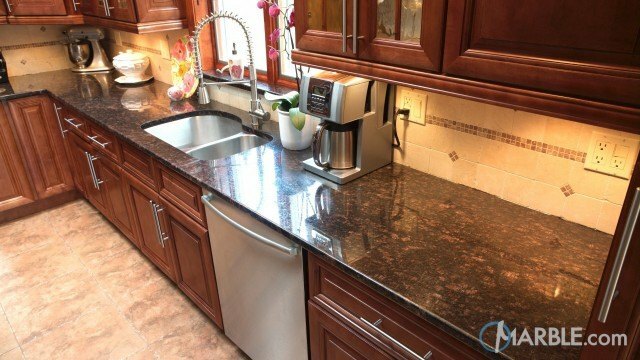 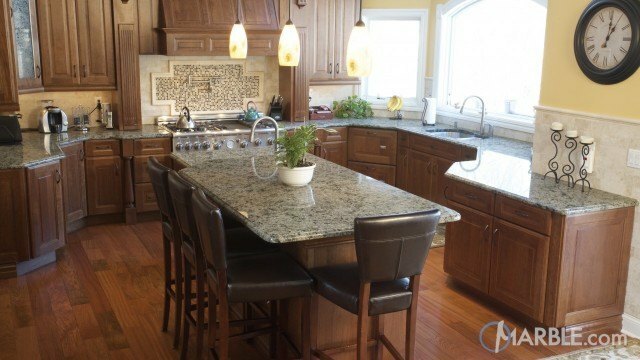 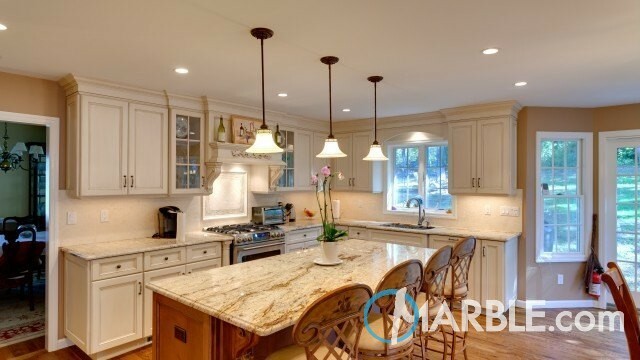 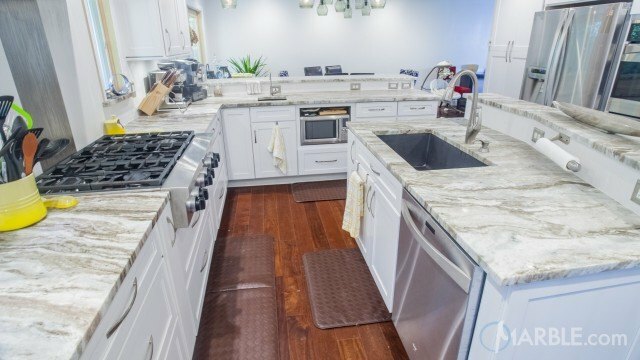 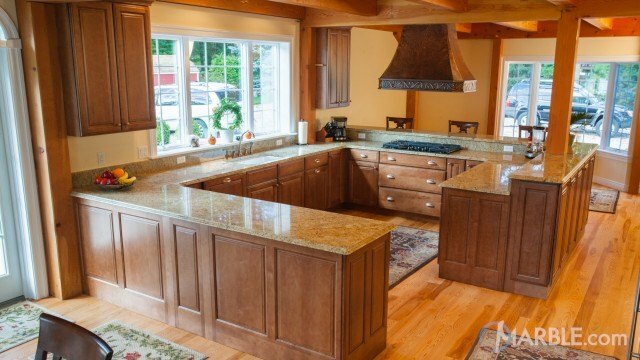 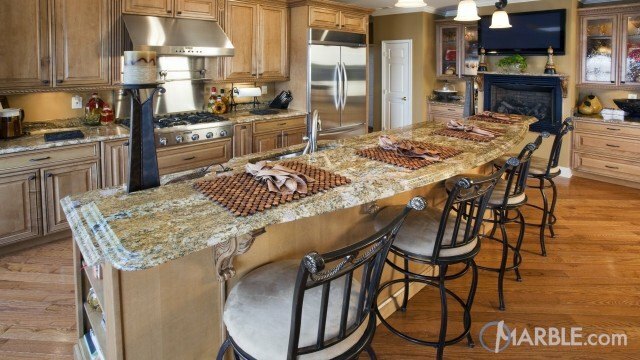 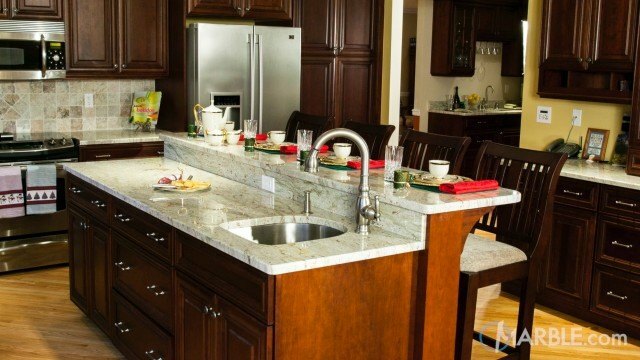 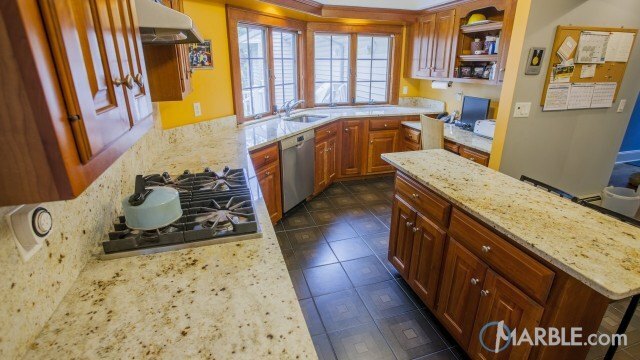 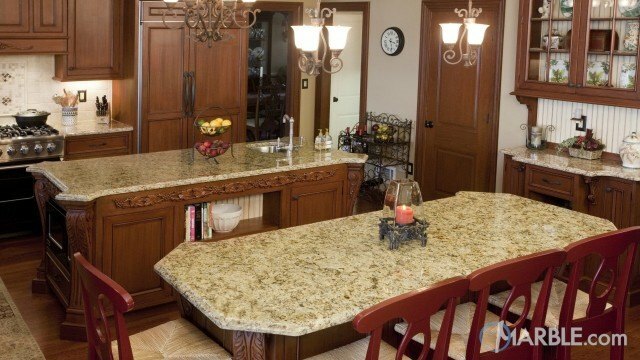 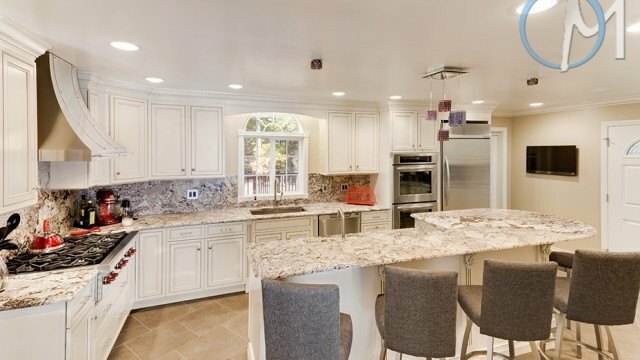 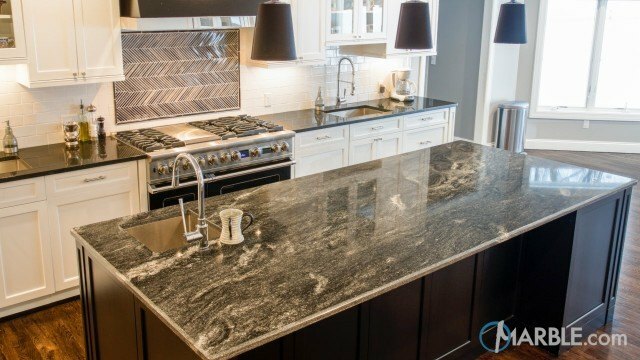 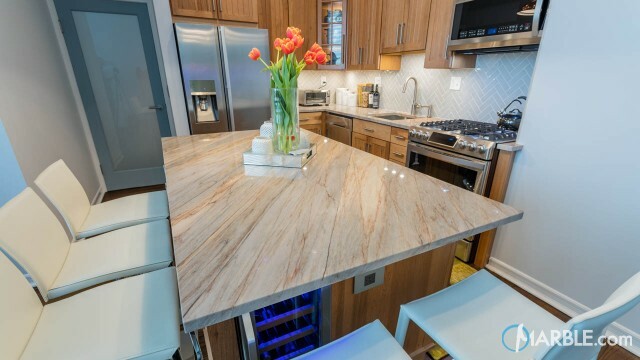 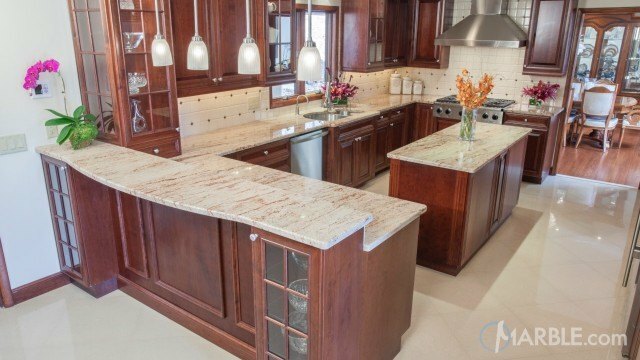 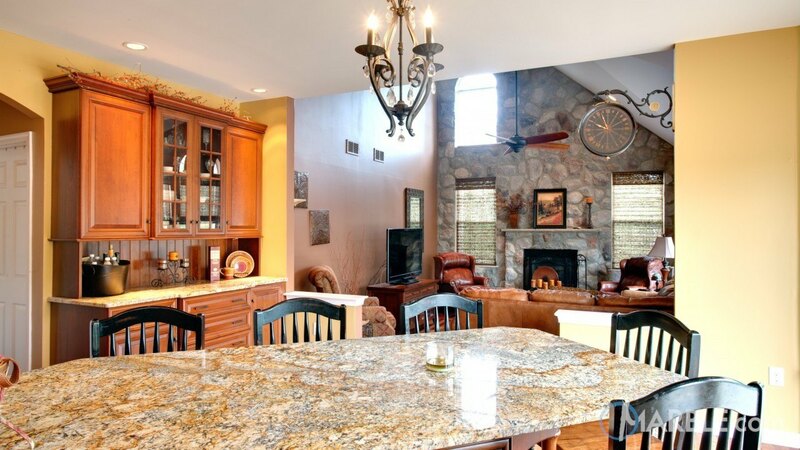 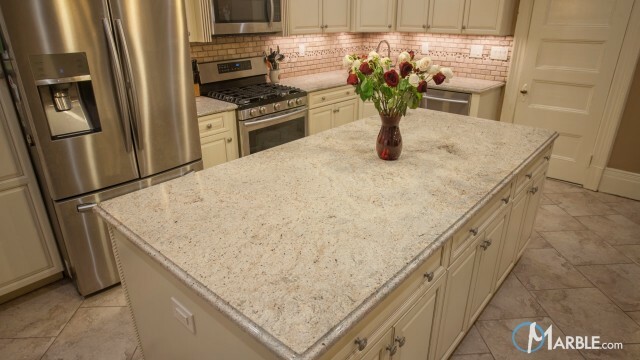 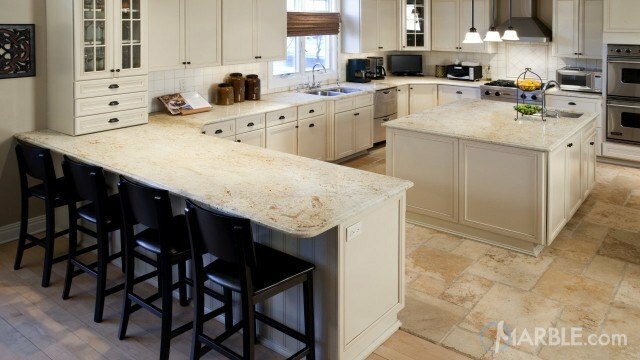 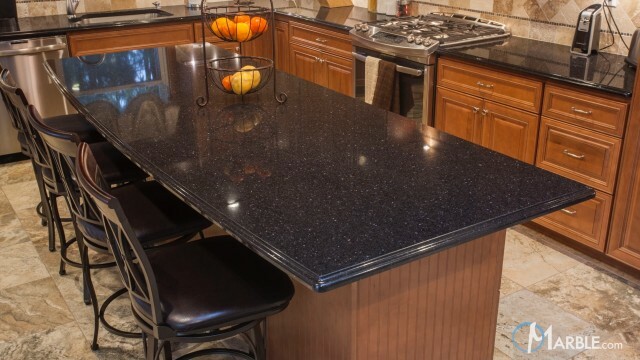 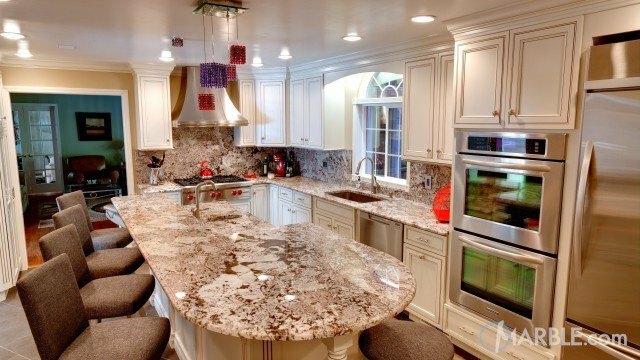 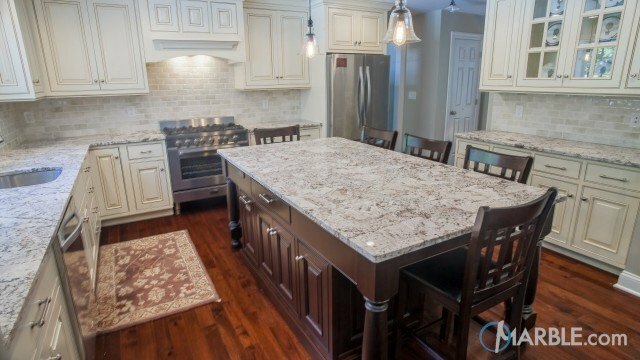 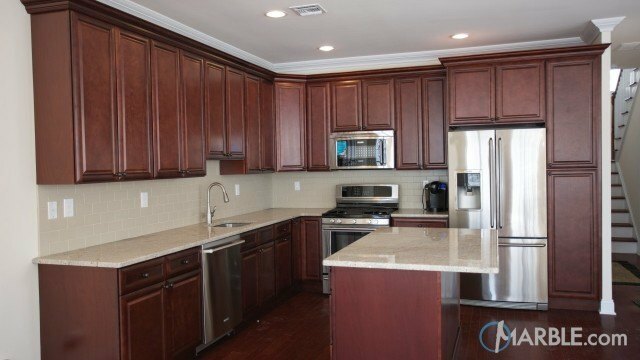 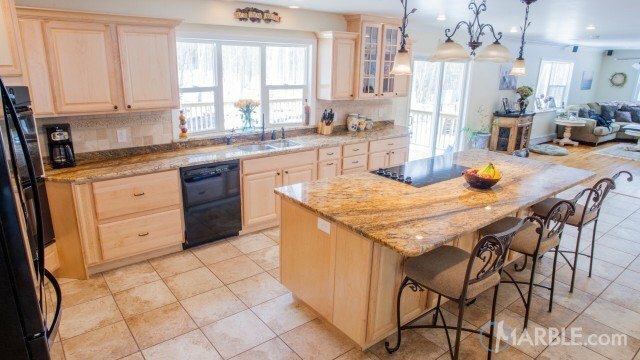 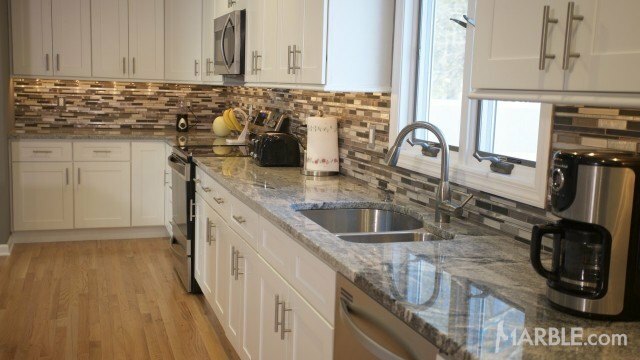 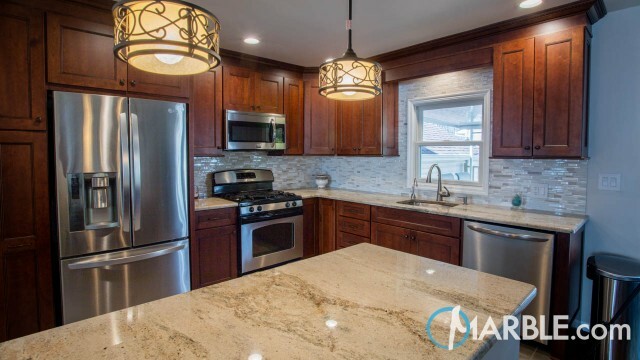 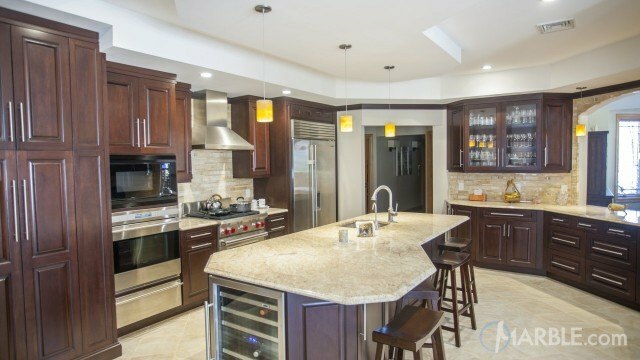 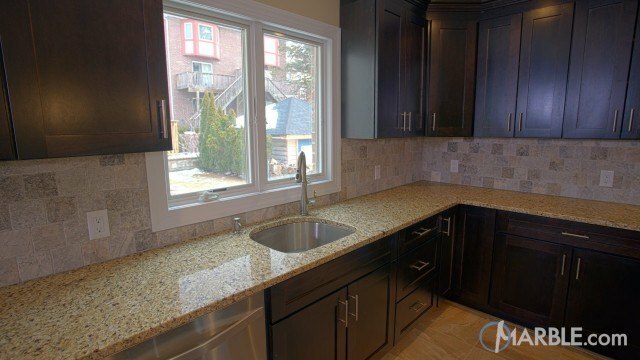 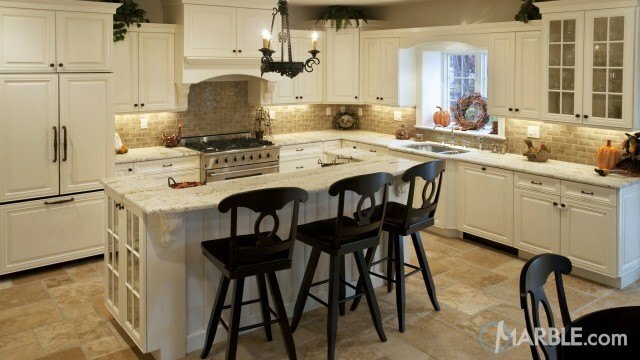 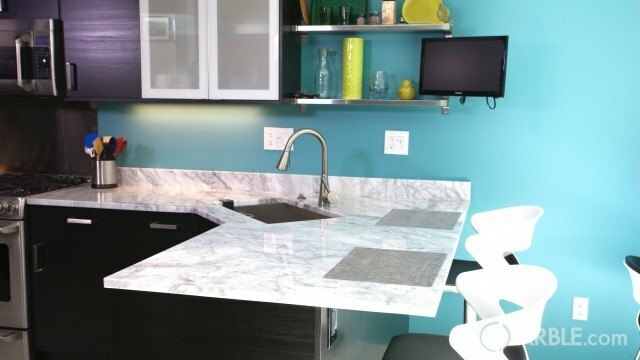 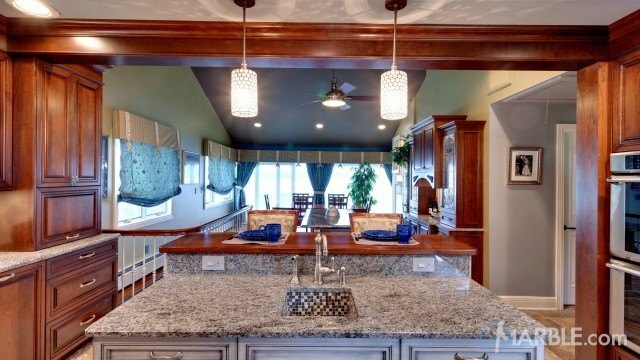 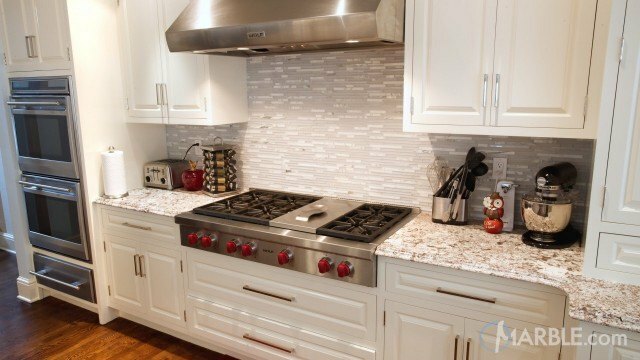 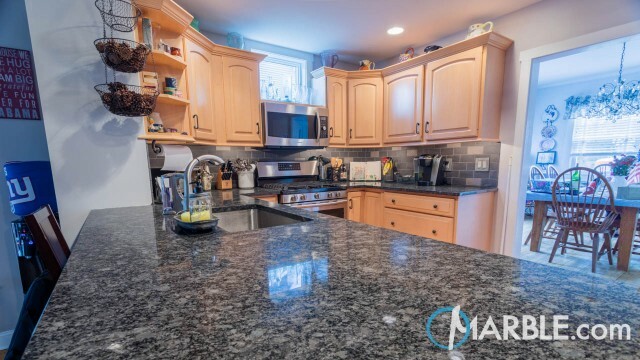 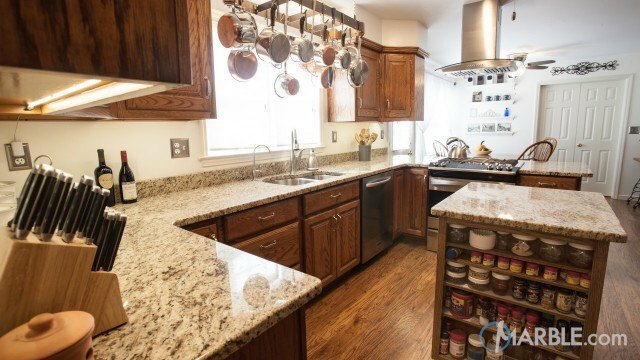 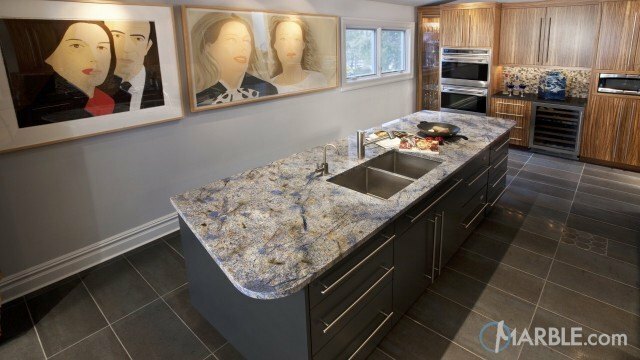 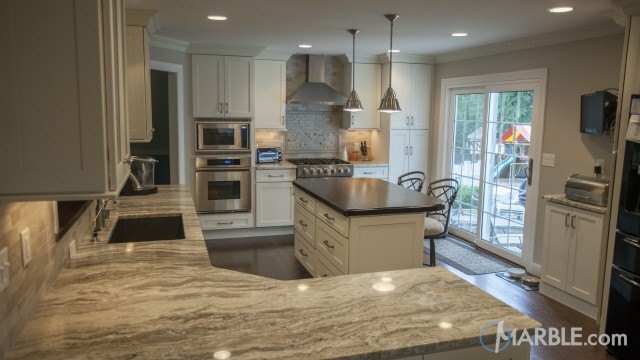 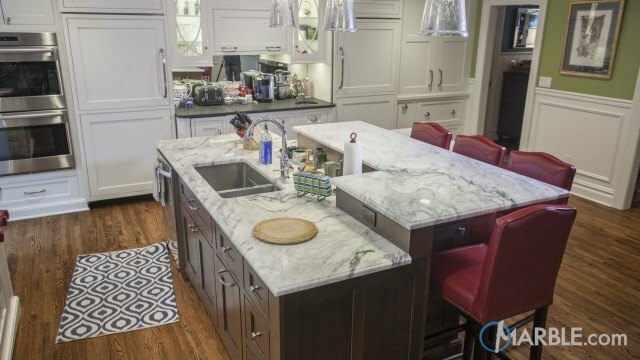 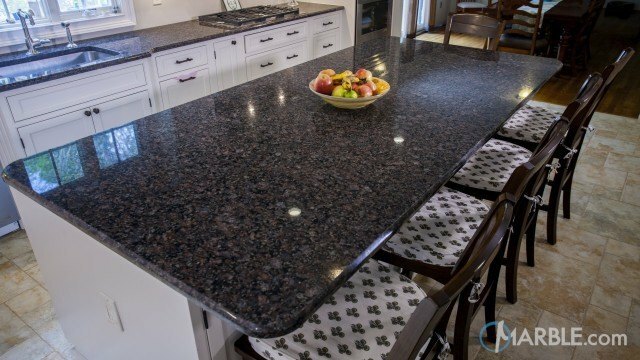 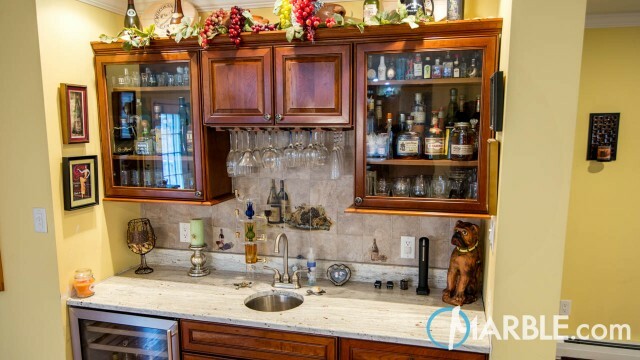 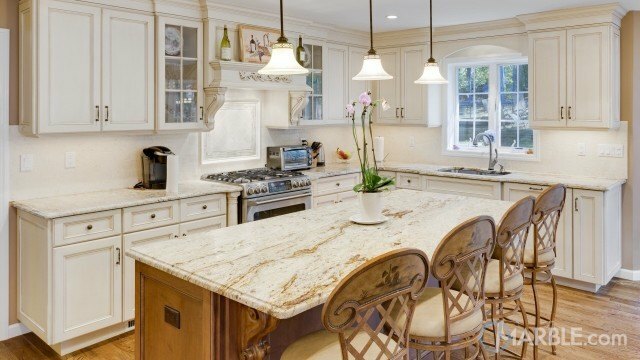 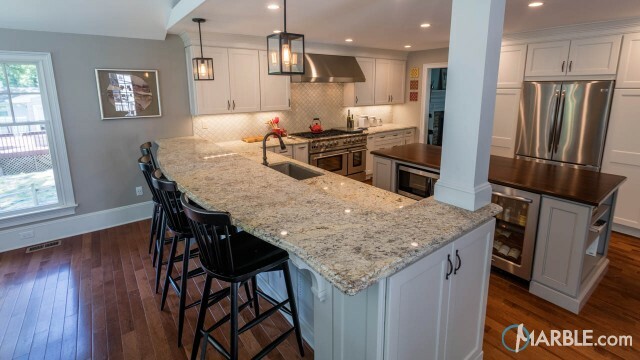 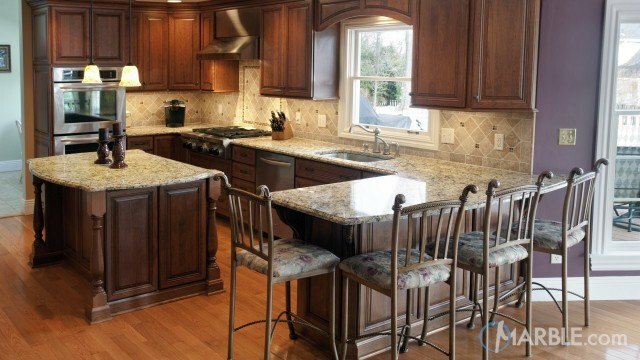 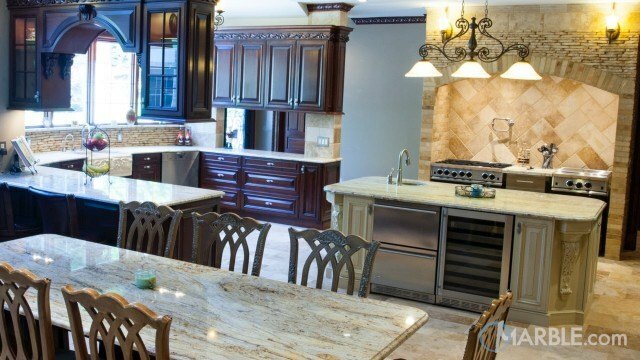 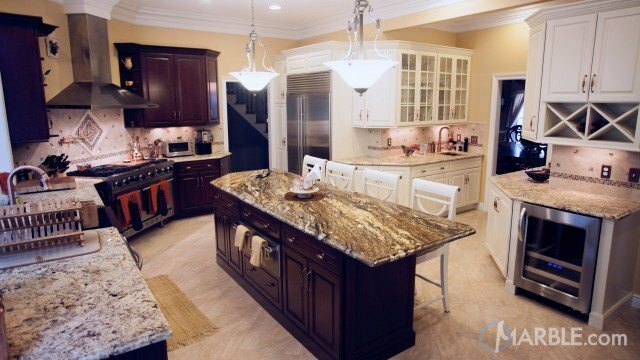 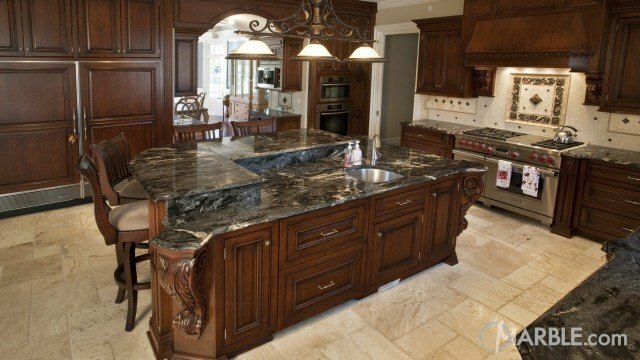 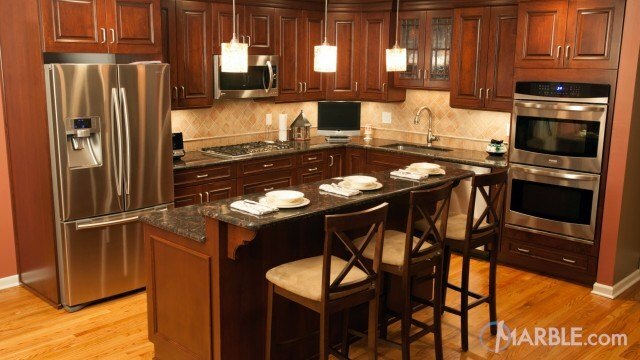 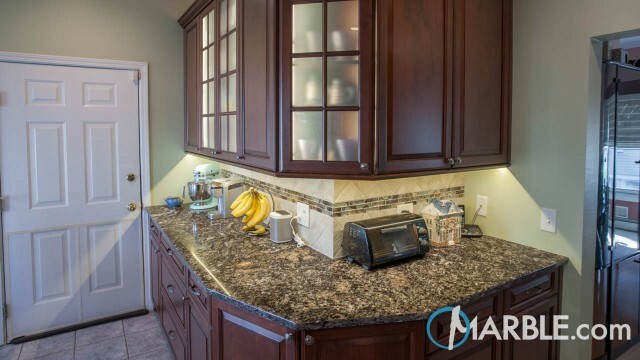 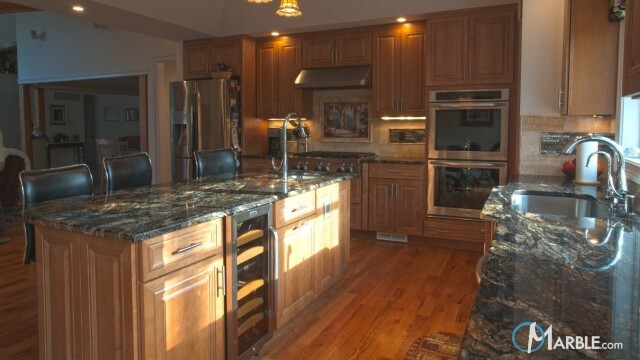 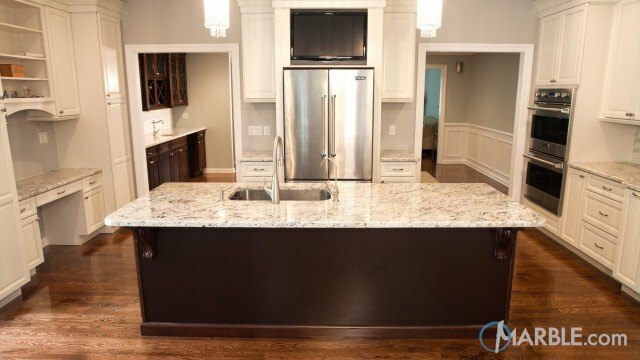 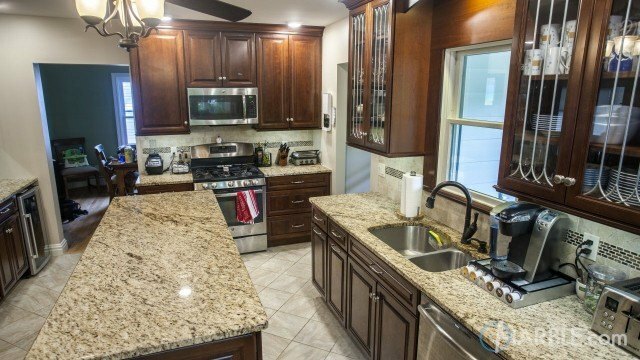 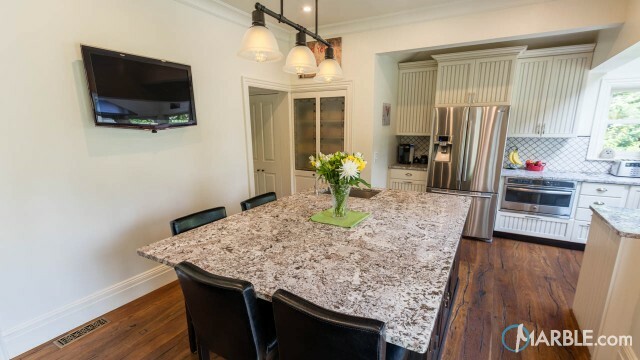 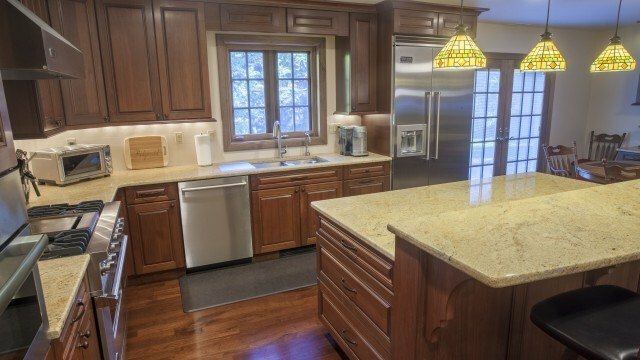 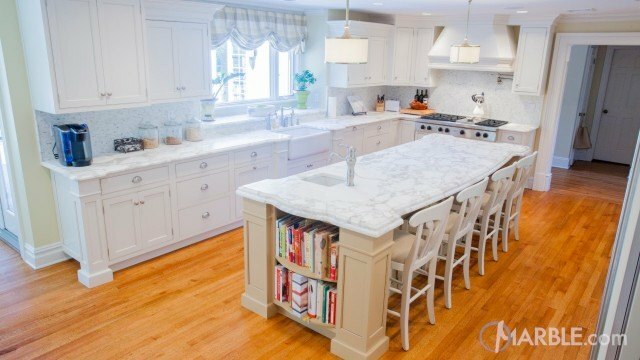 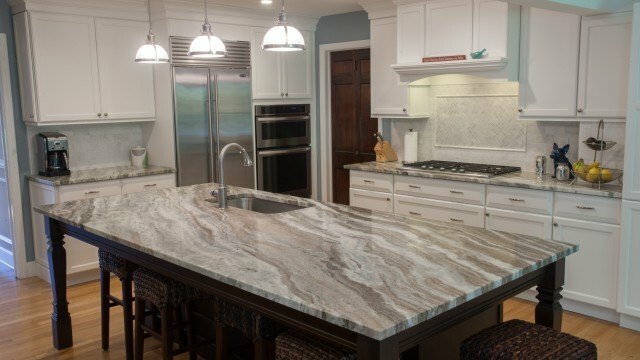 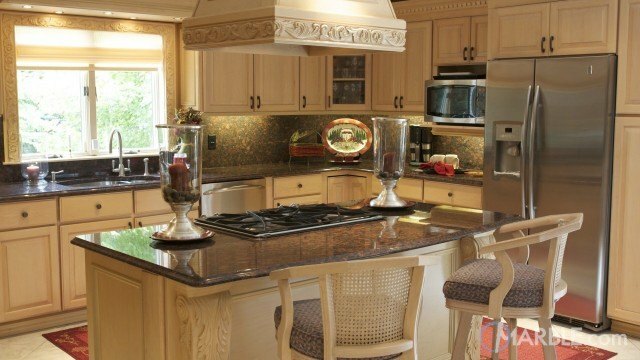 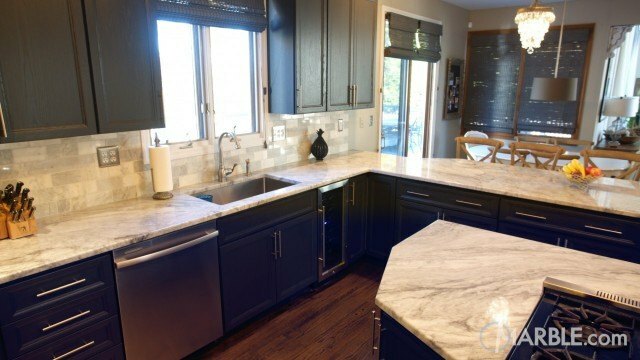 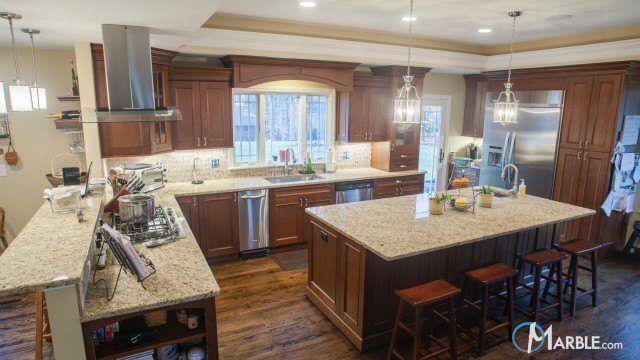 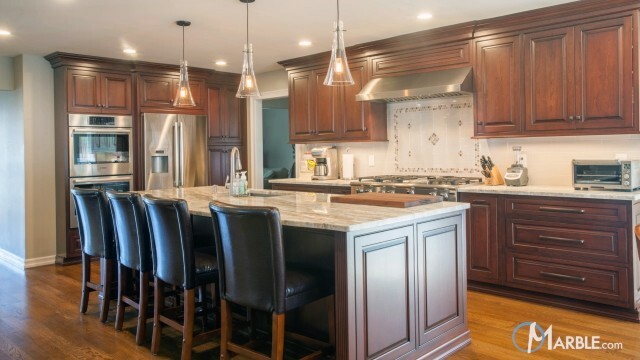 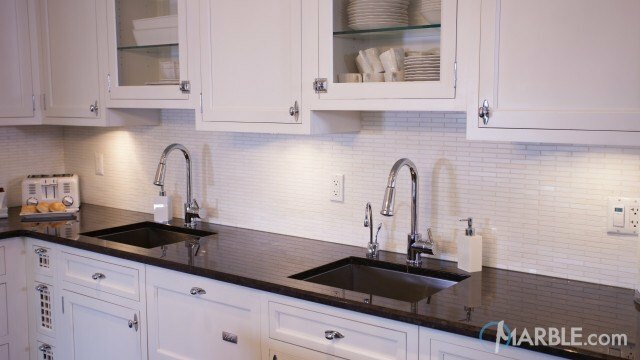 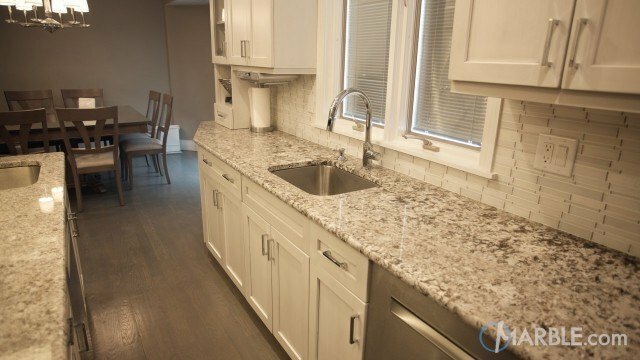 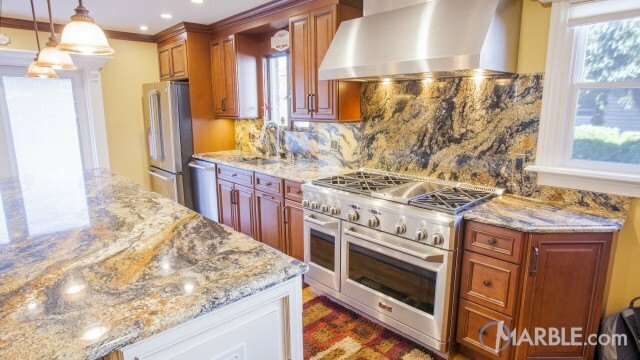 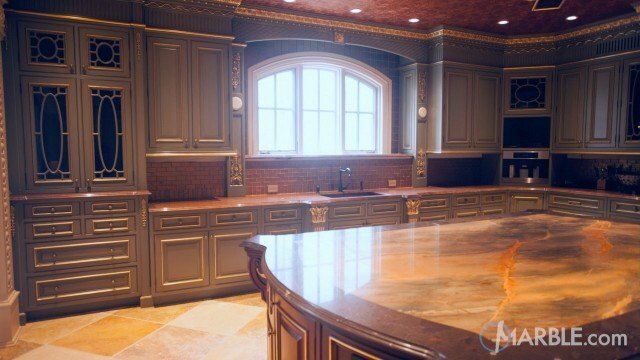 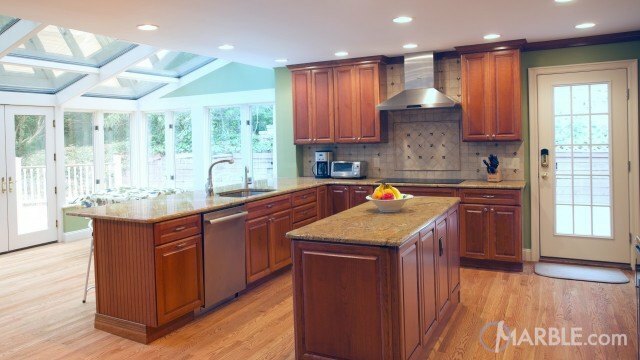 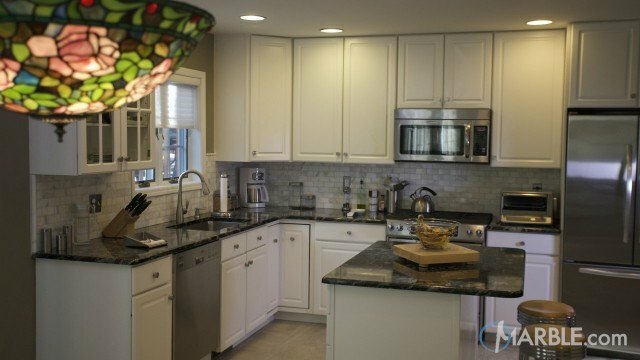 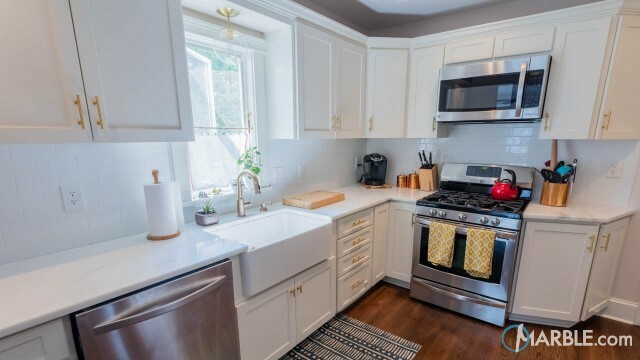 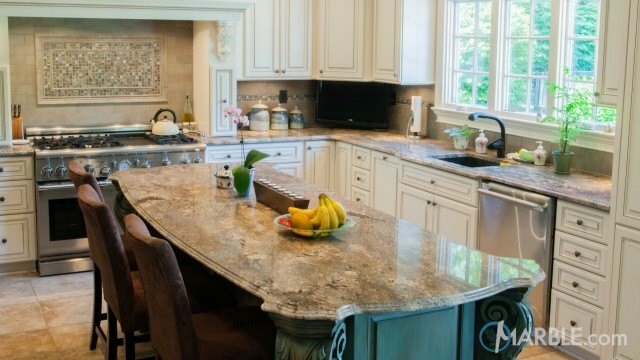 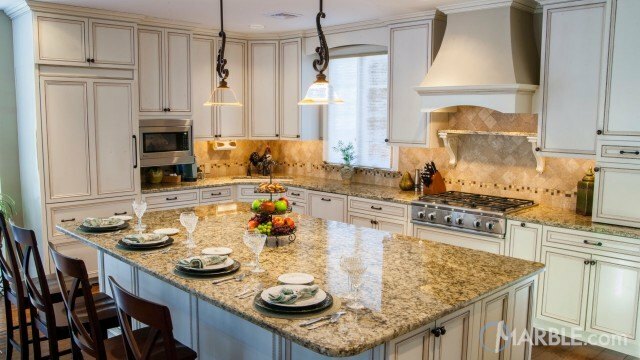 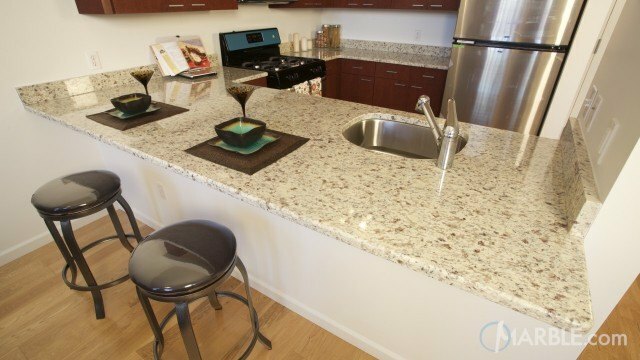 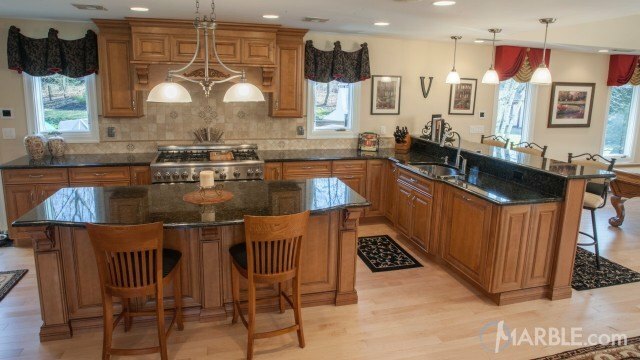 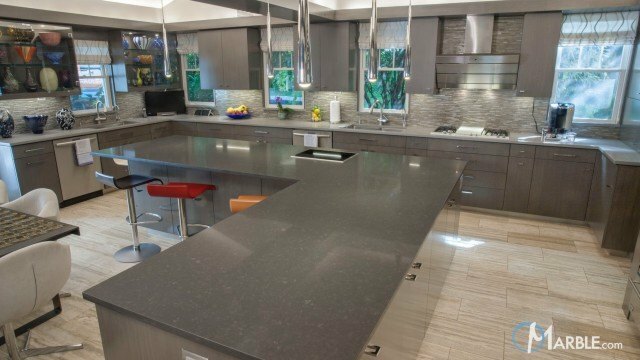 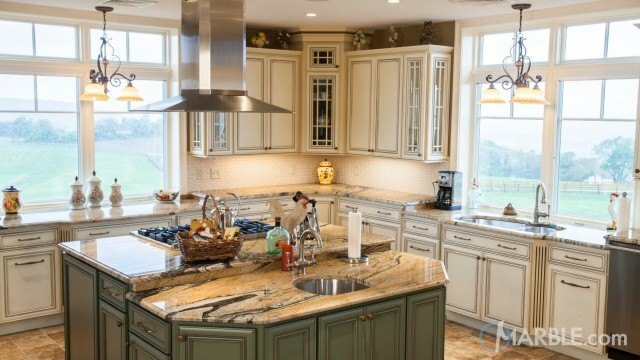 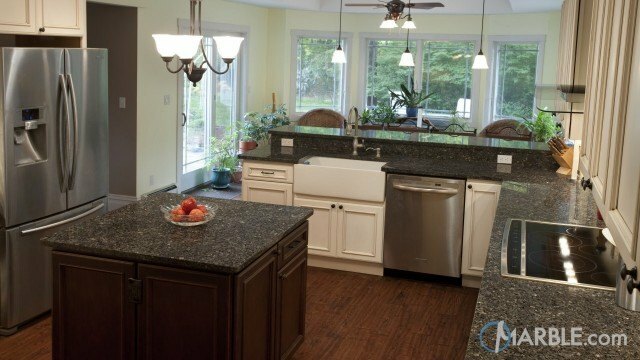 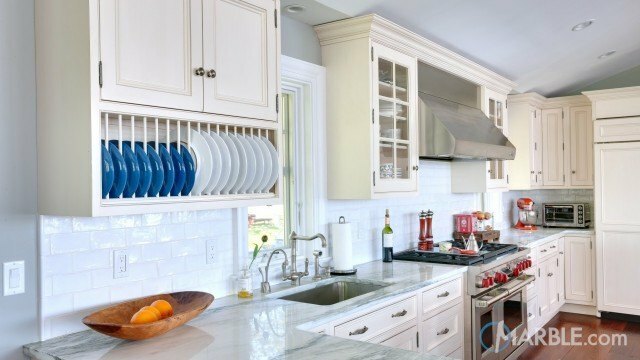 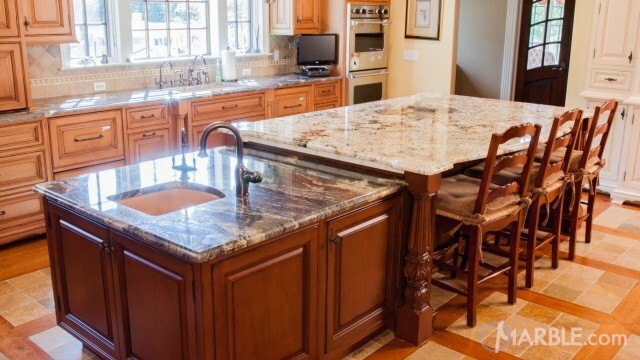 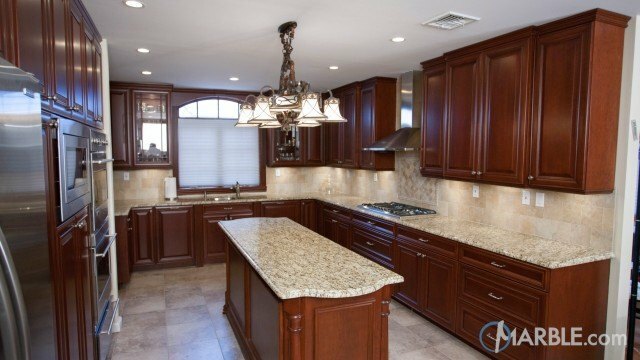 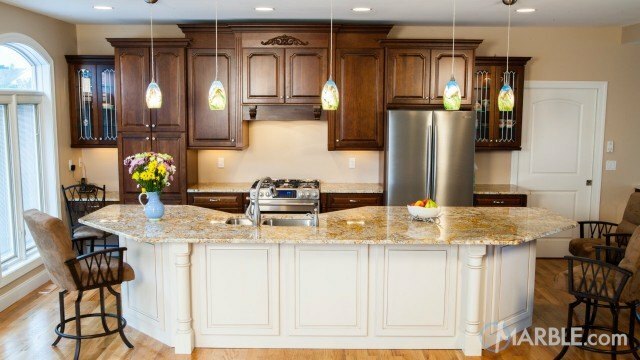 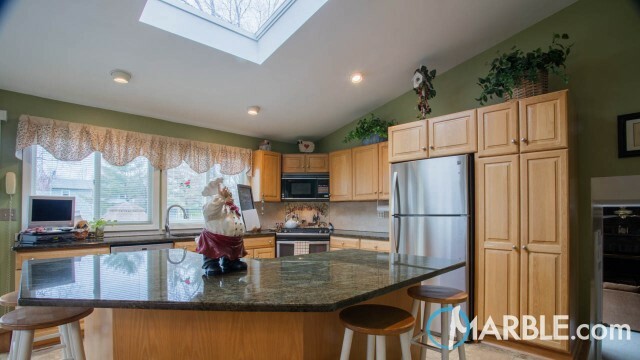 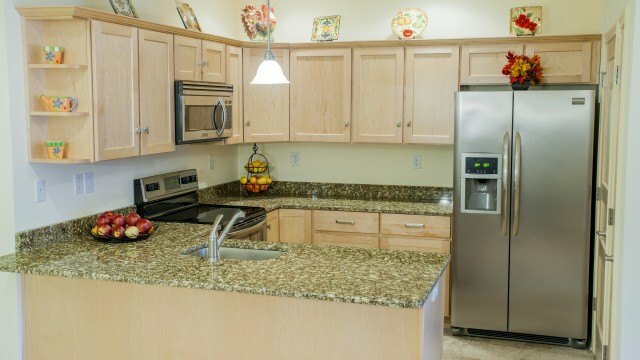 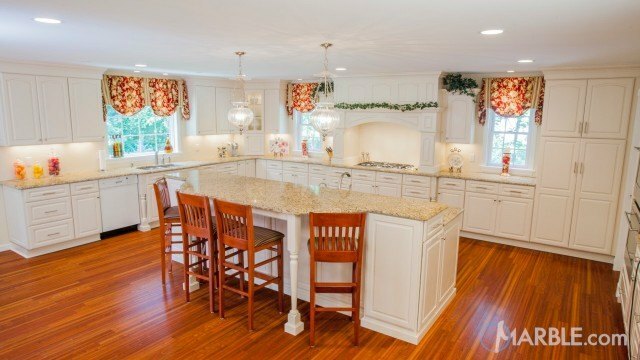 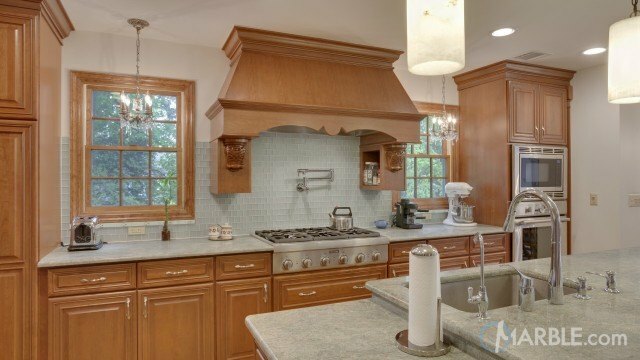 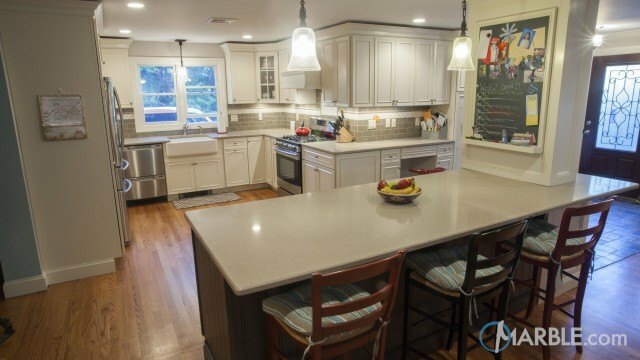 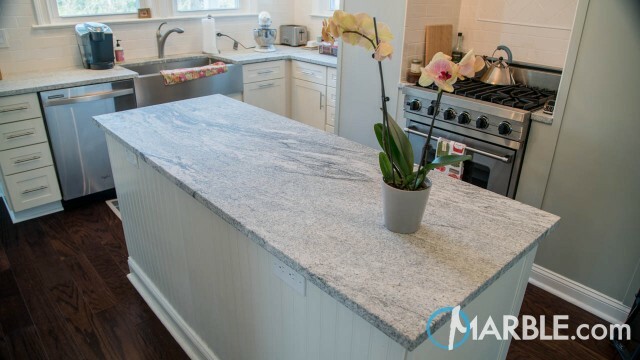 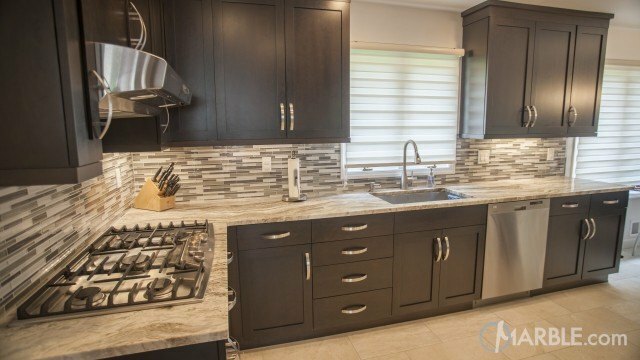 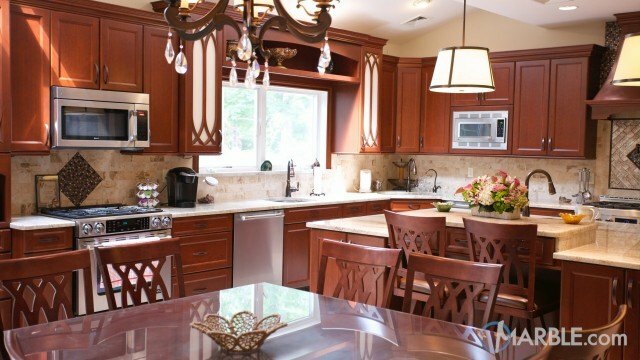 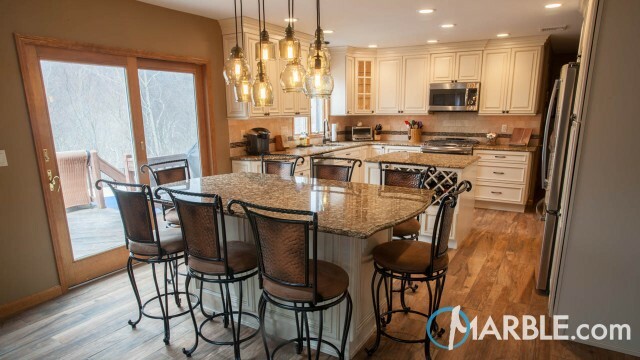 The granite counter tops flow across the bar and onto the counter top surrounding the sink. 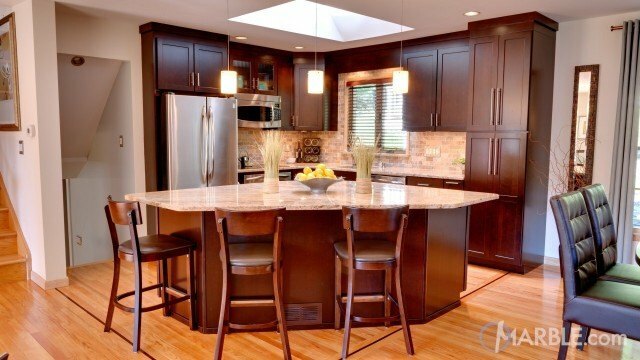 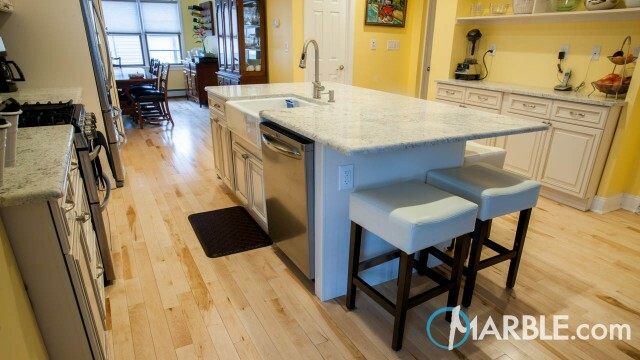 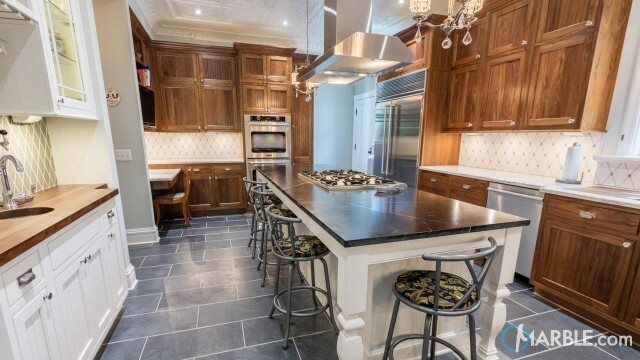 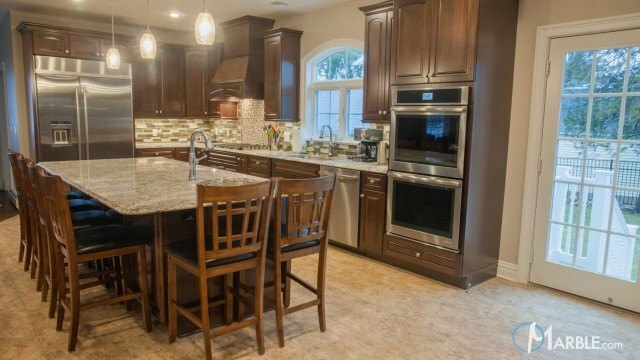 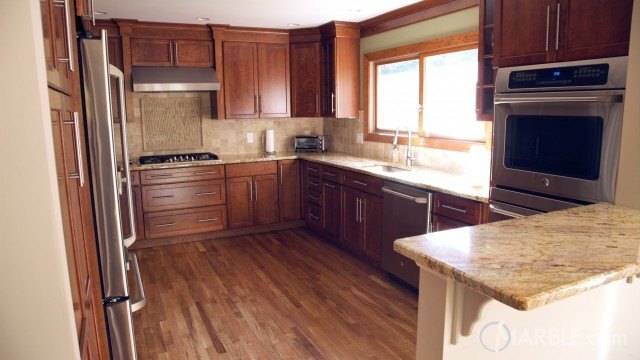 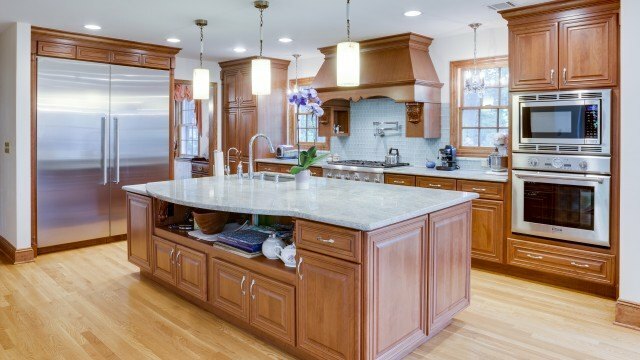 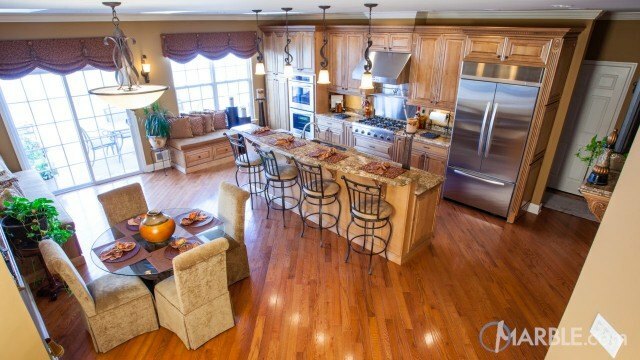 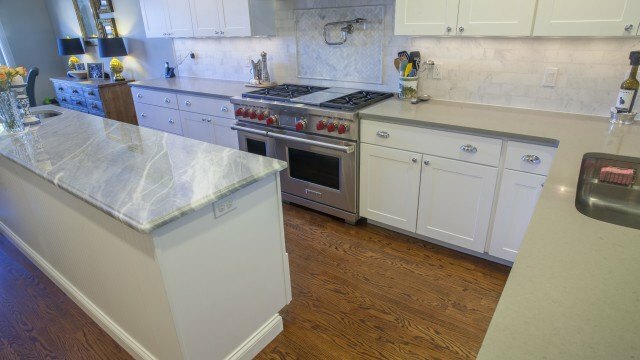 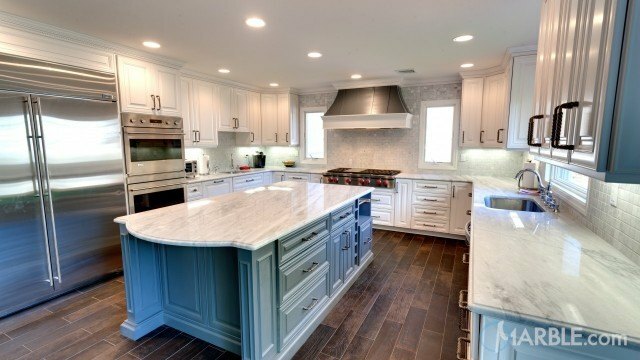 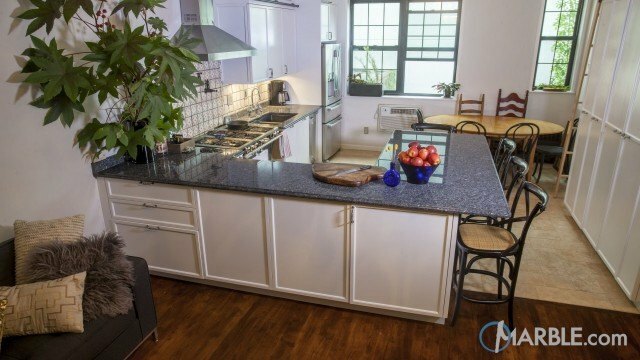 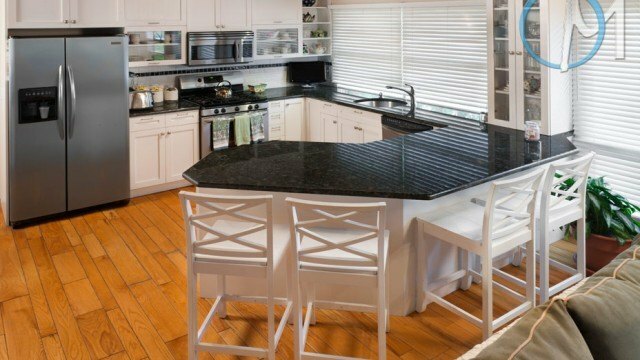 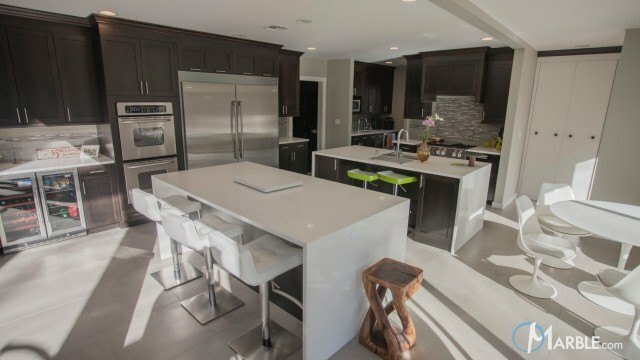 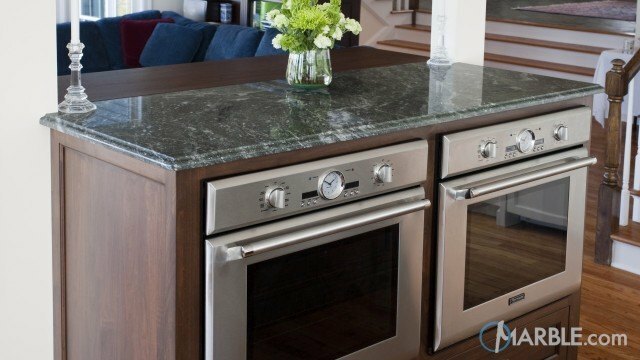 Dark wood floors bring the entire kitchen to life.